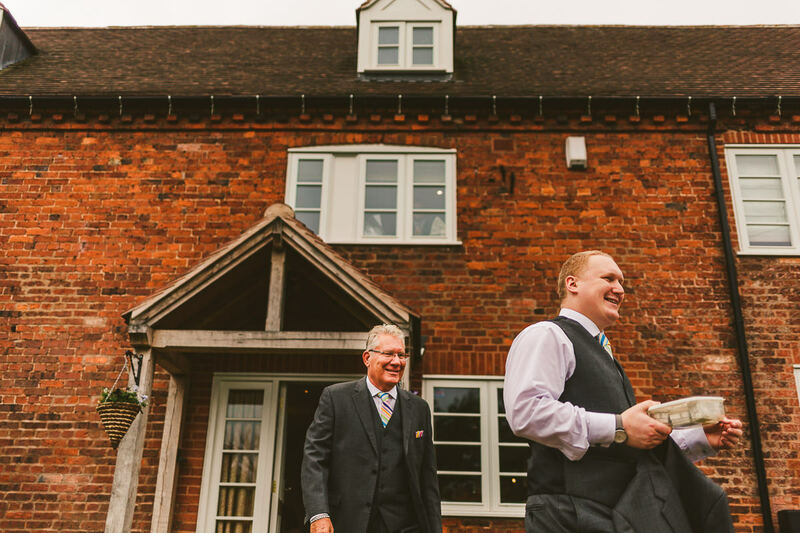 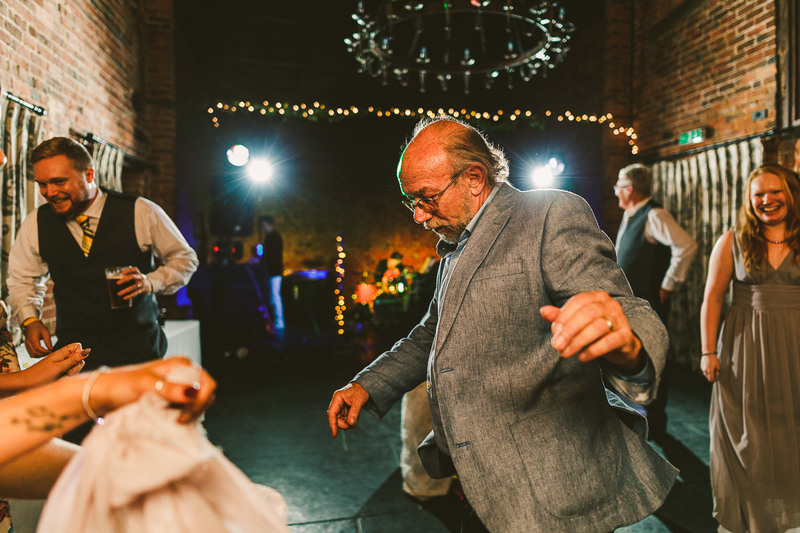 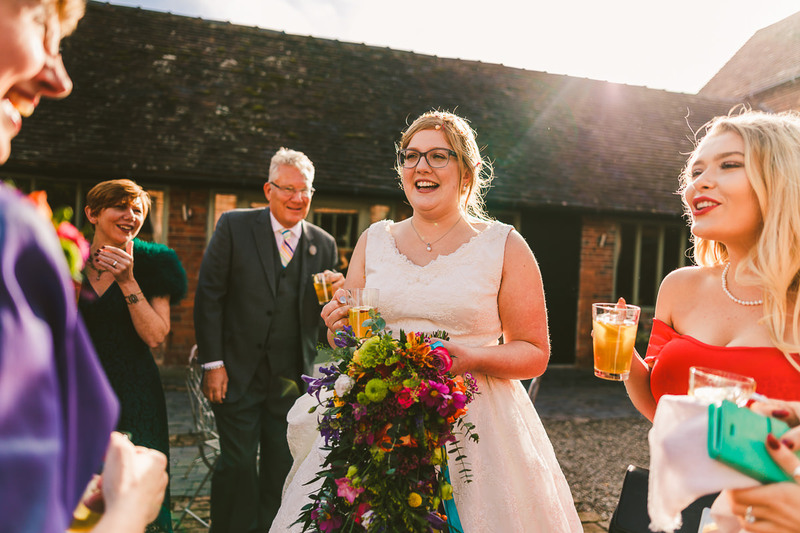 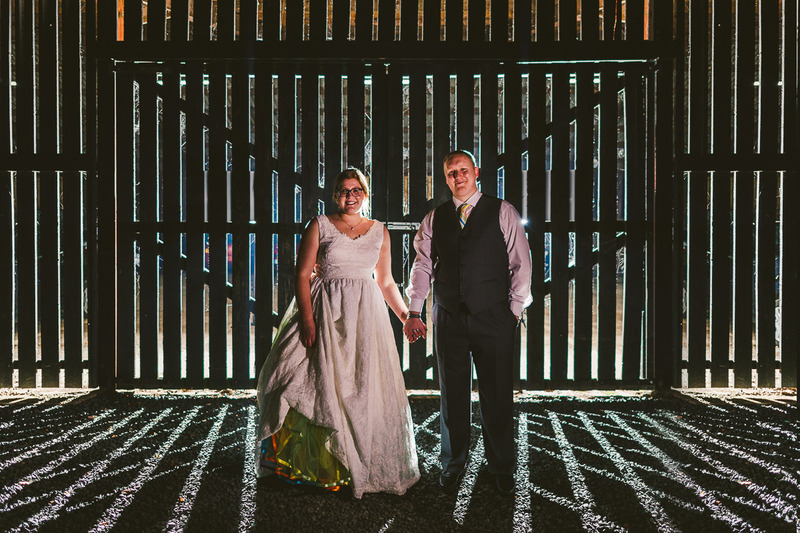 A couple of weeks ago I made the short hop from Birmingham down to Curradine Barns at Shrawley in rural Worcestershire for Bex and Tom‘s wedding. 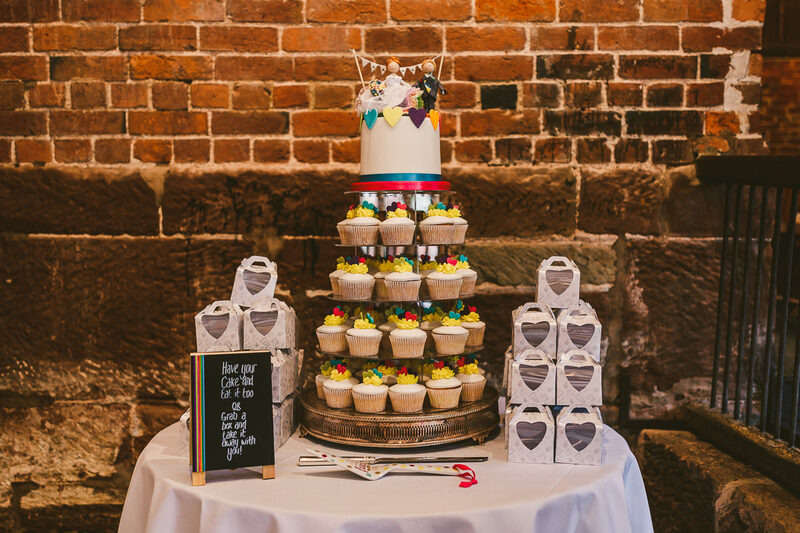 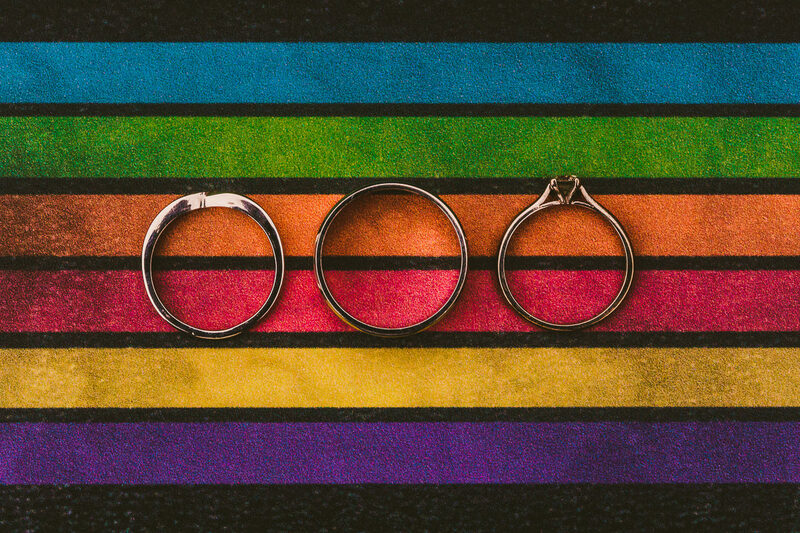 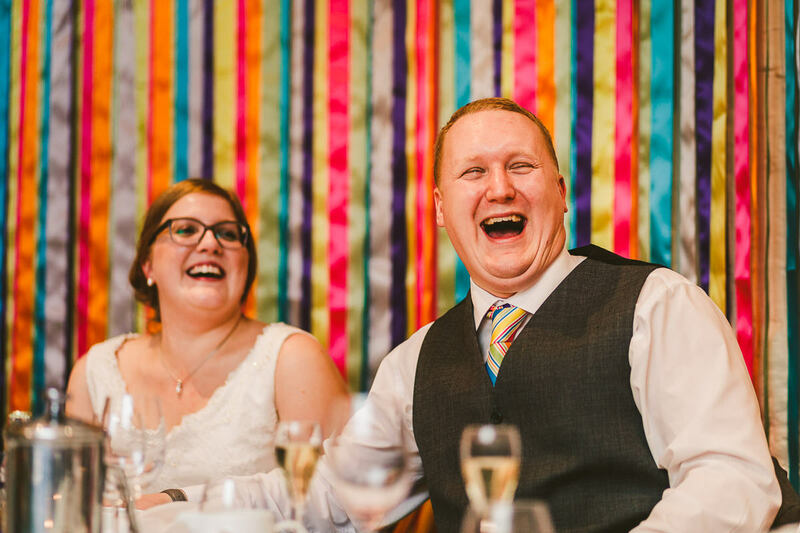 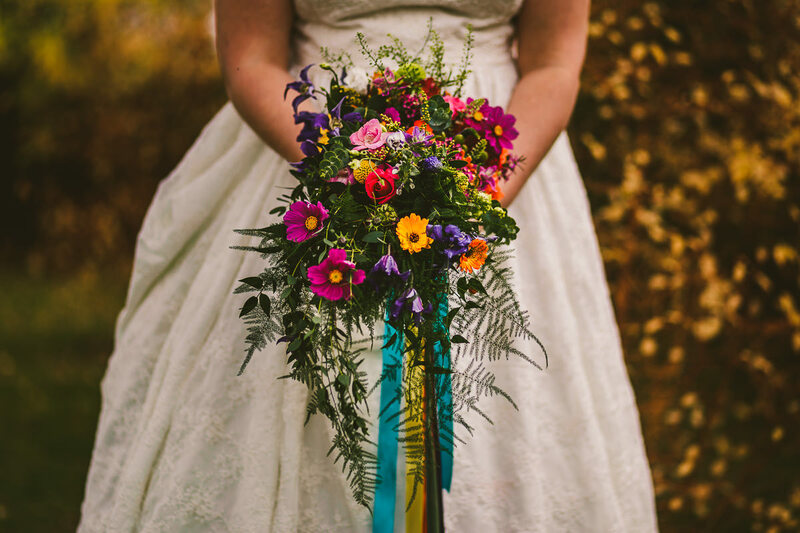 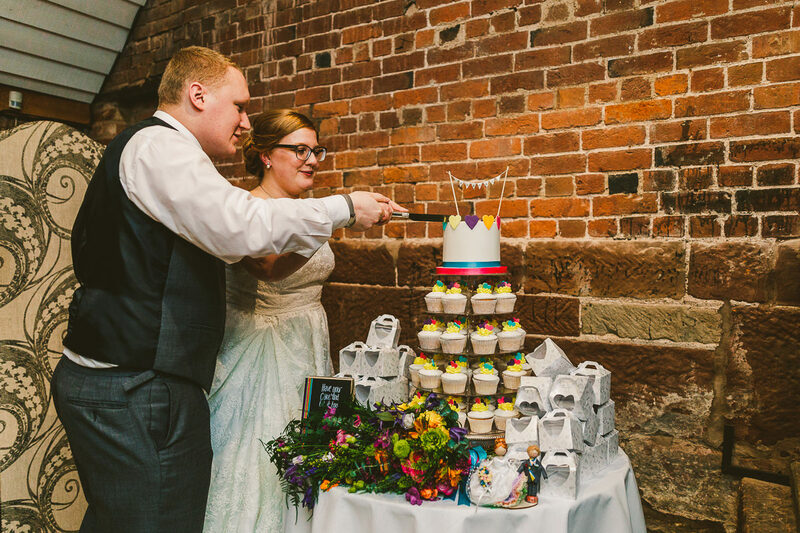 Some weddings have a colour theme, Bex and Tom chose all the colours with their rainbow themed wedding day. 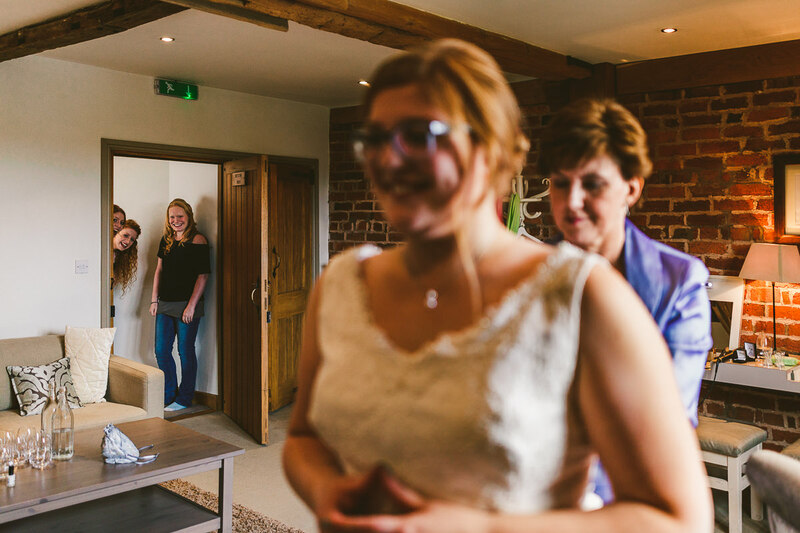 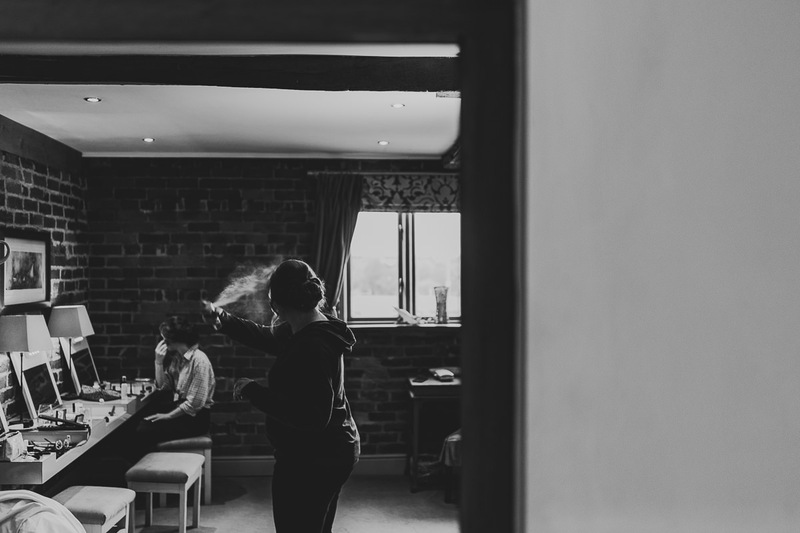 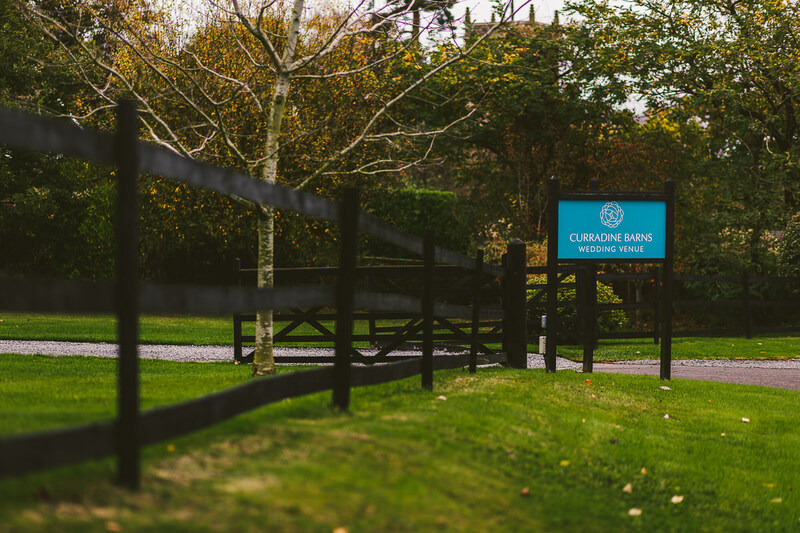 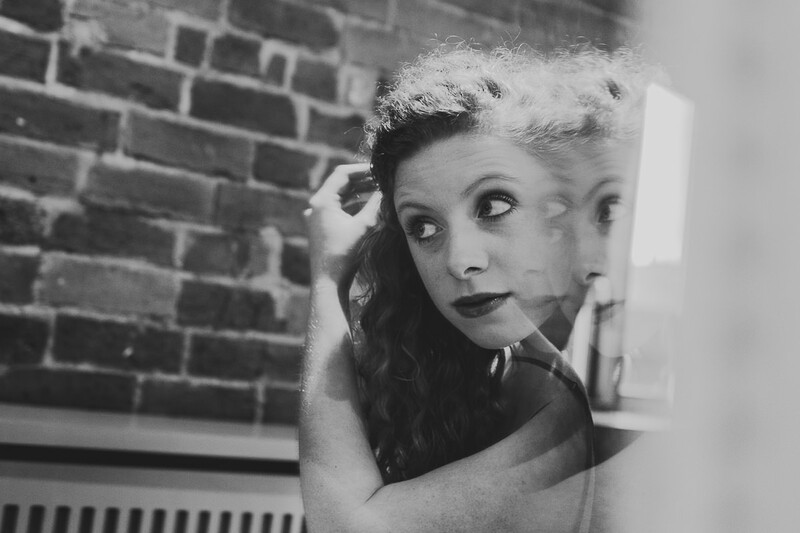 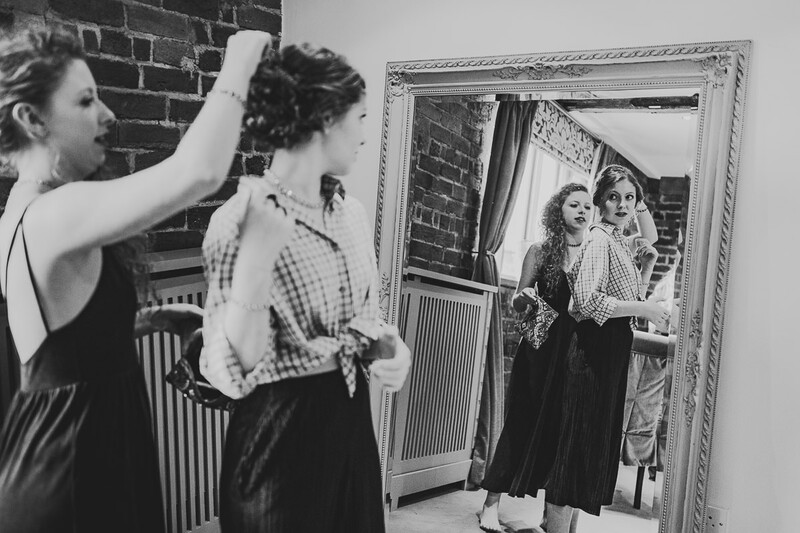 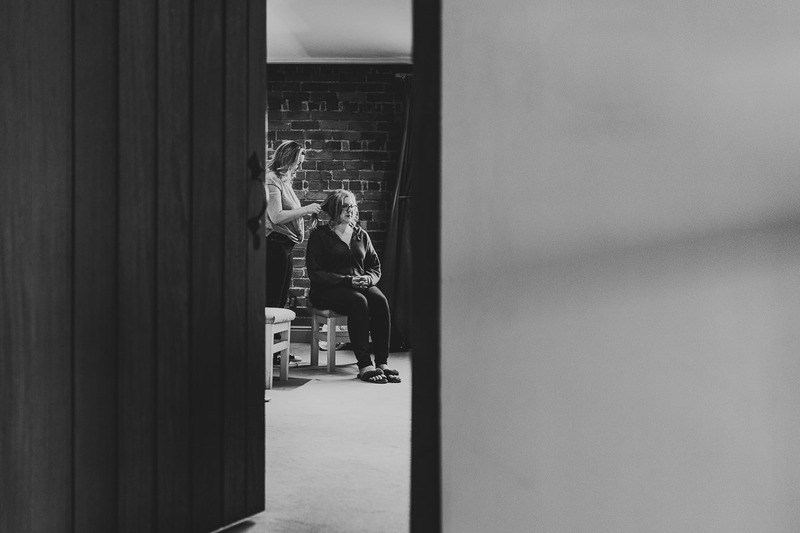 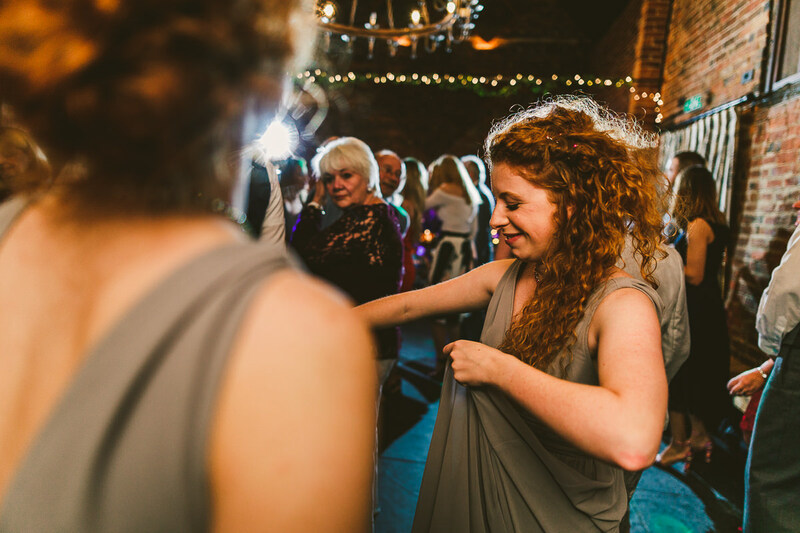 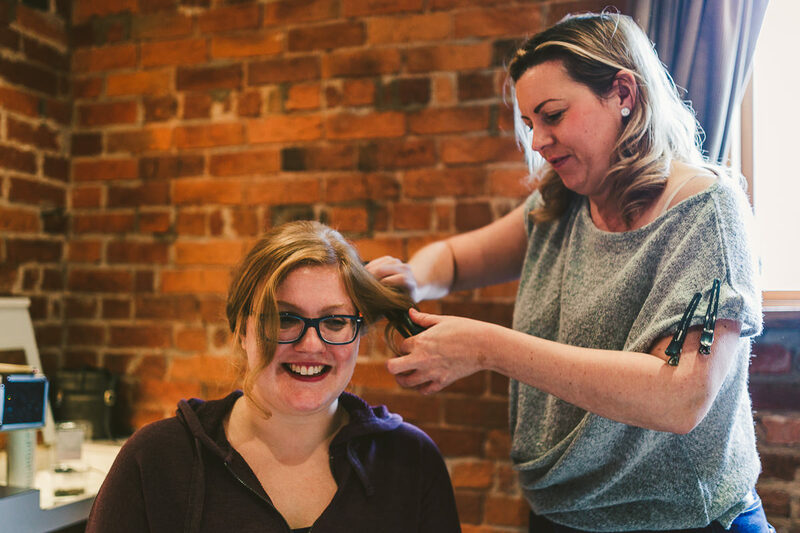 I met with Bex and her bridesmaids for the final preparations at Curradine Barns on the morning of the wedding, bridal hair was by Sally Logue whilst the girls did their own makeup. 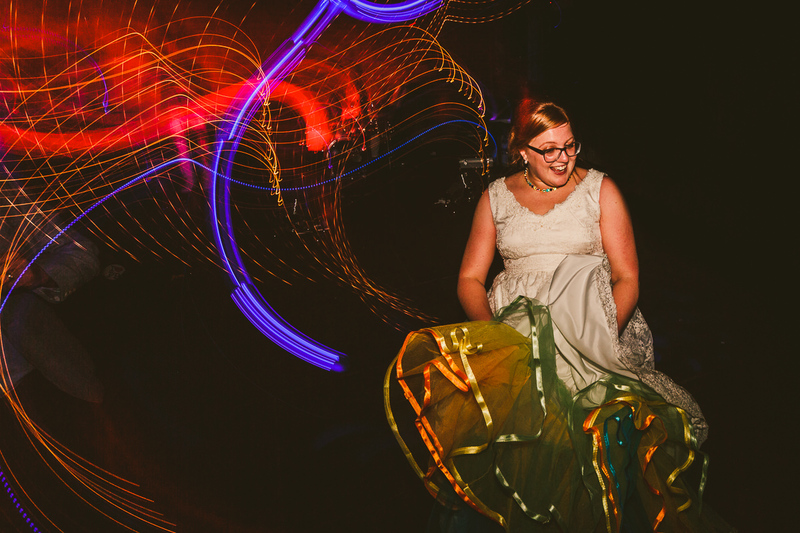 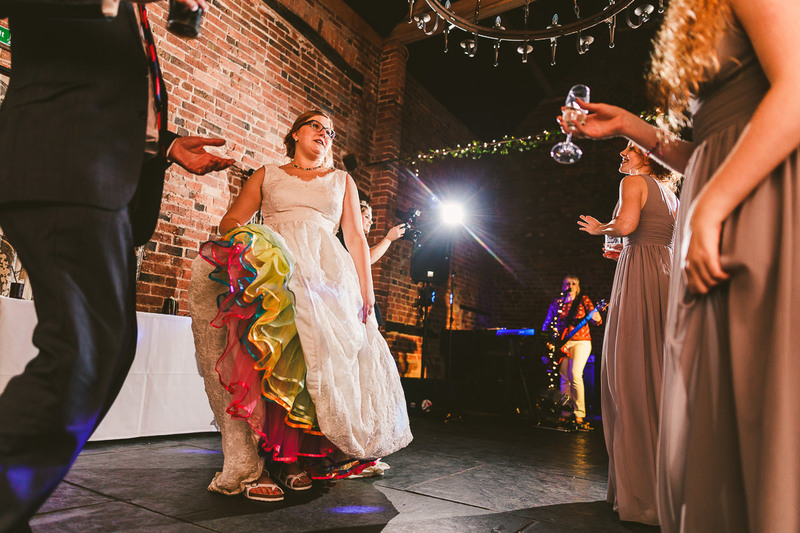 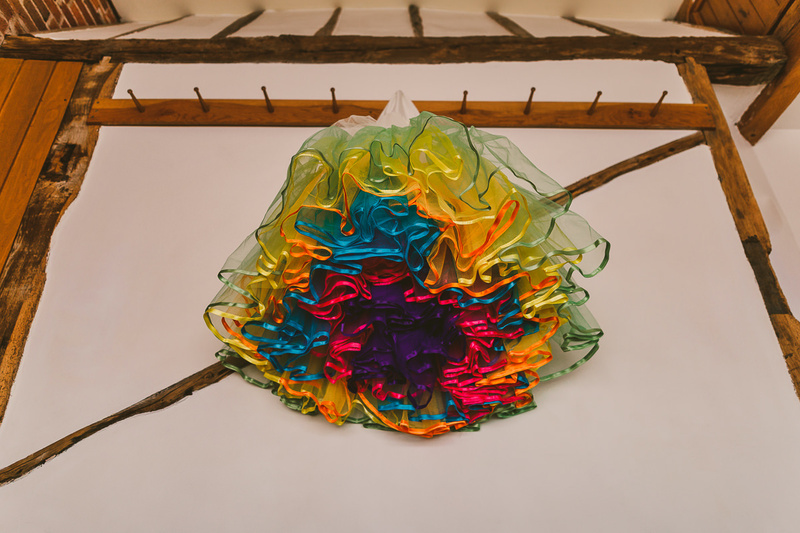 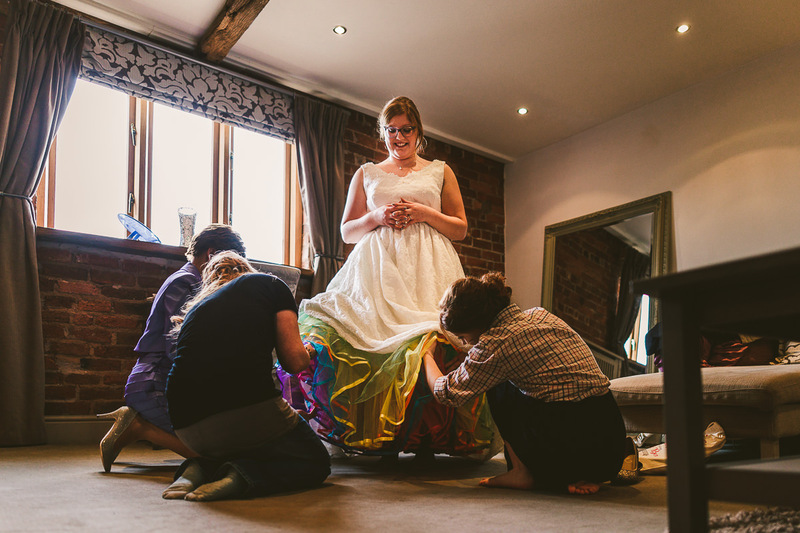 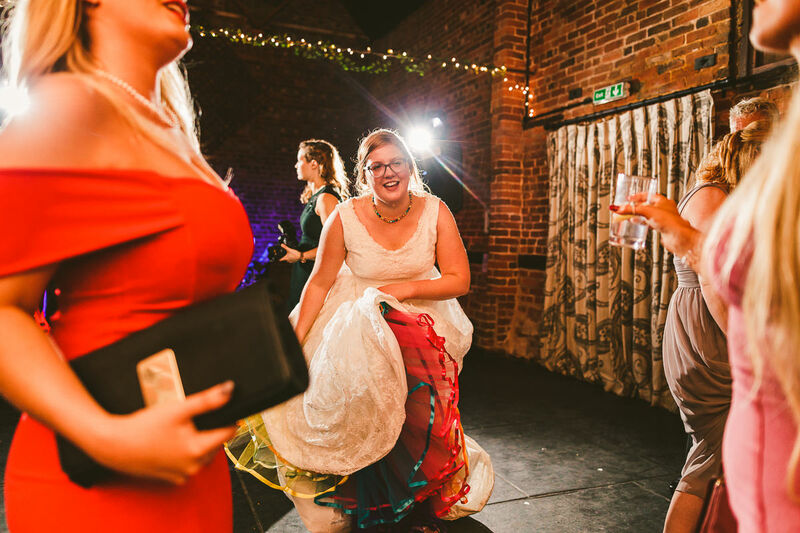 For the ceremony Bex wore a dress from Margaret Annya Bridal Design which she had specially customised so that it displayed her colourful rainbow crinoline slip underneath. 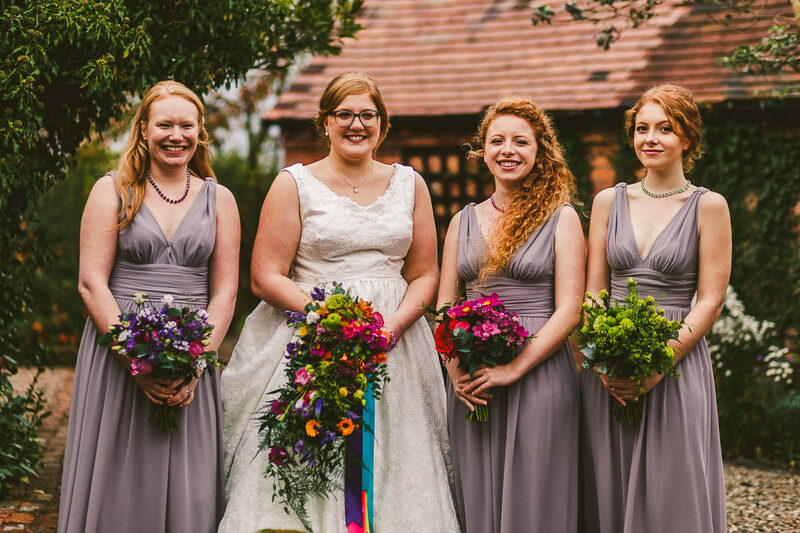 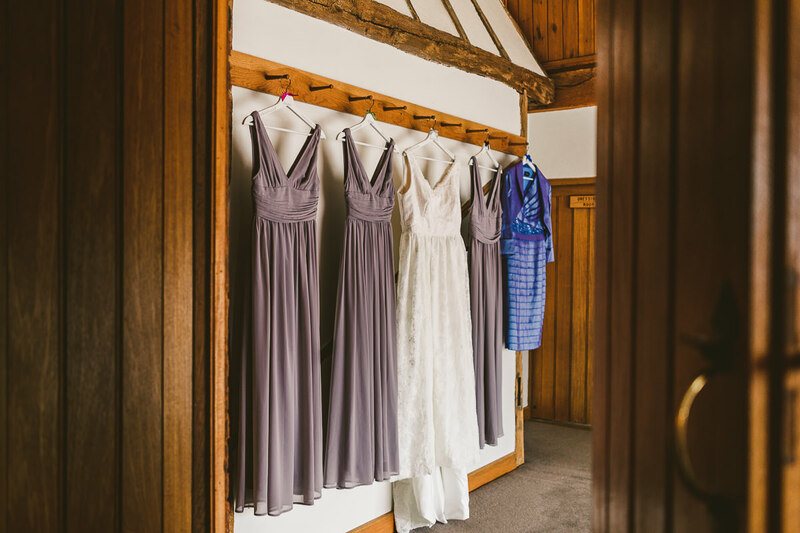 The bridesmaids wore dresses from Ever Pretty whilst the groomsmen were decked out grey three piece suits from Slaters Menswear. 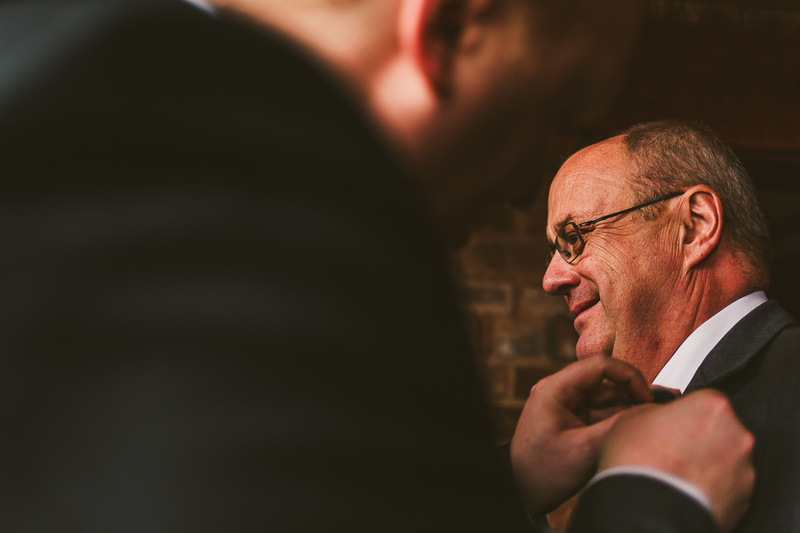 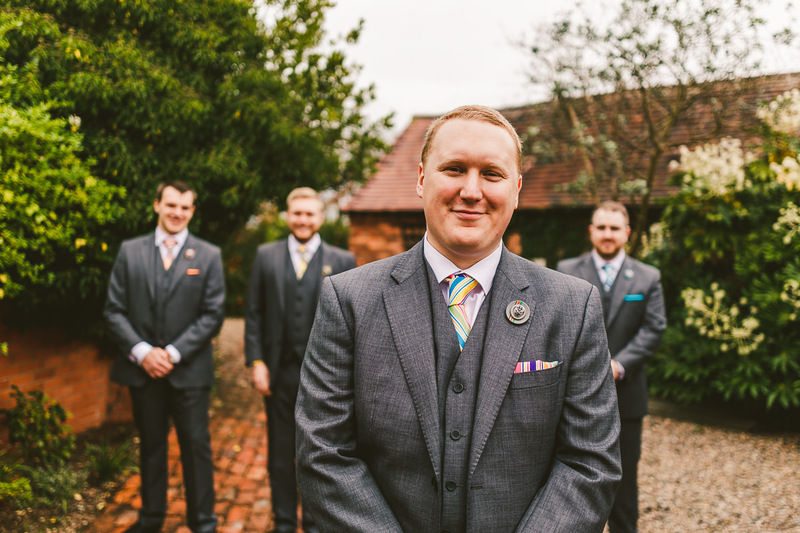 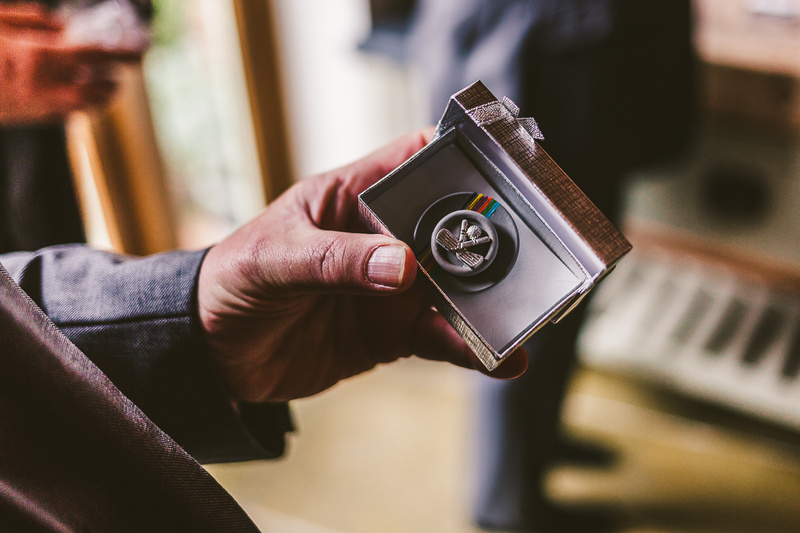 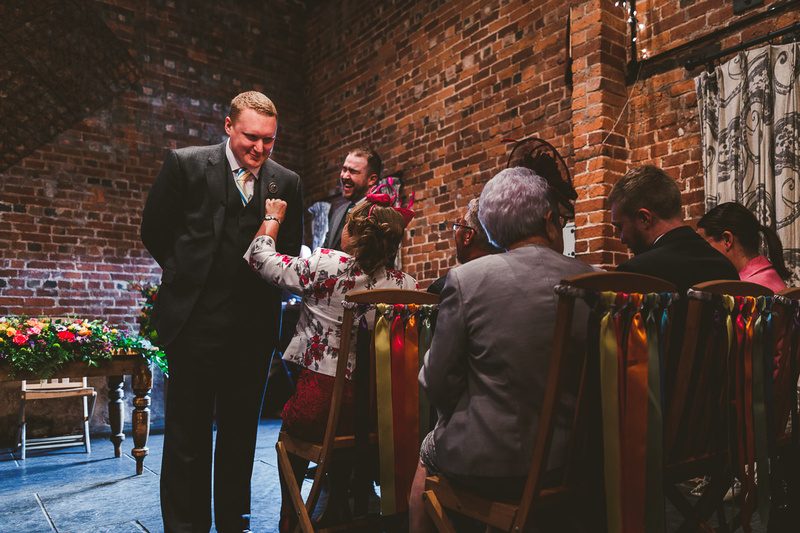 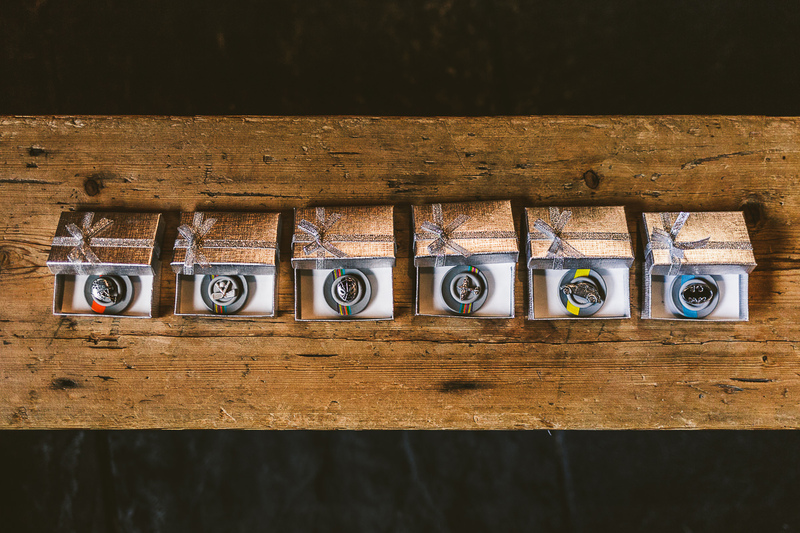 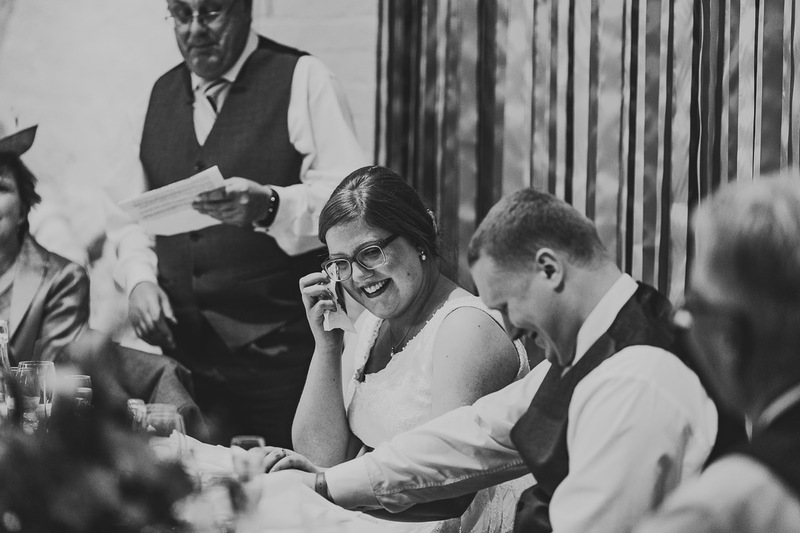 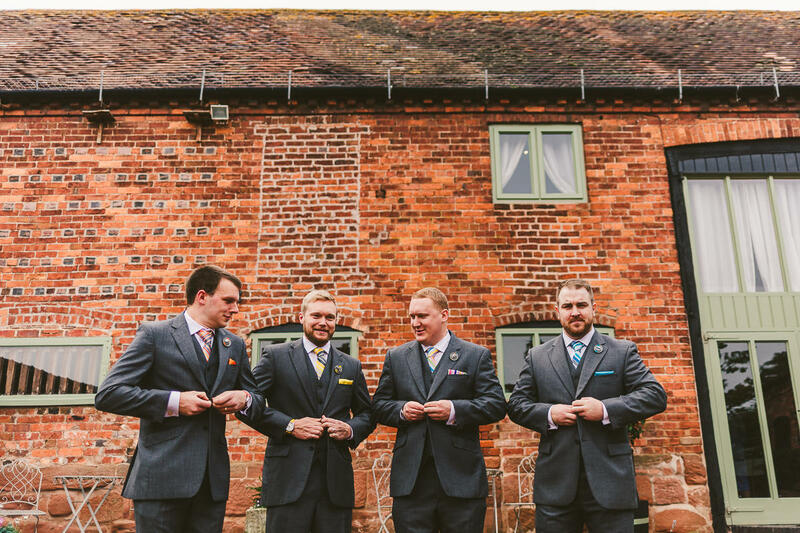 To keep with the colourful rainbow theme the men’s suits were accessorised with colourful striped ties, and instead of a button hole, each wore a personalised badge which had been handmade by the groom. 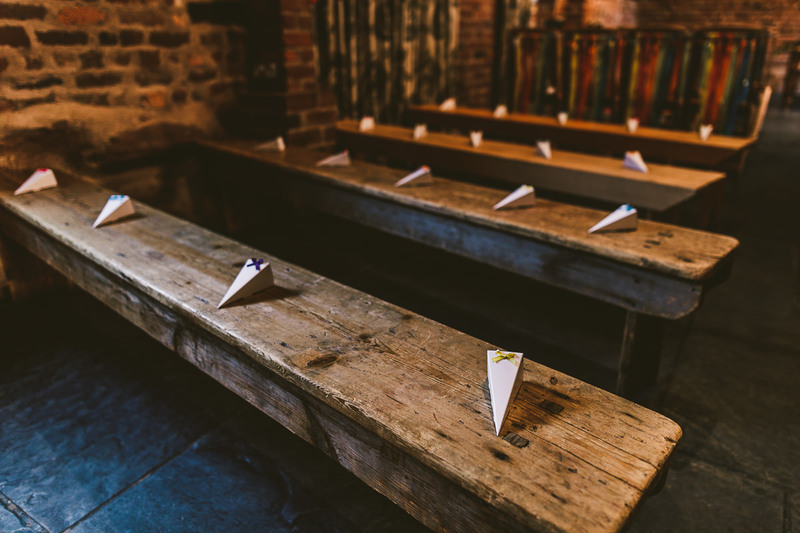 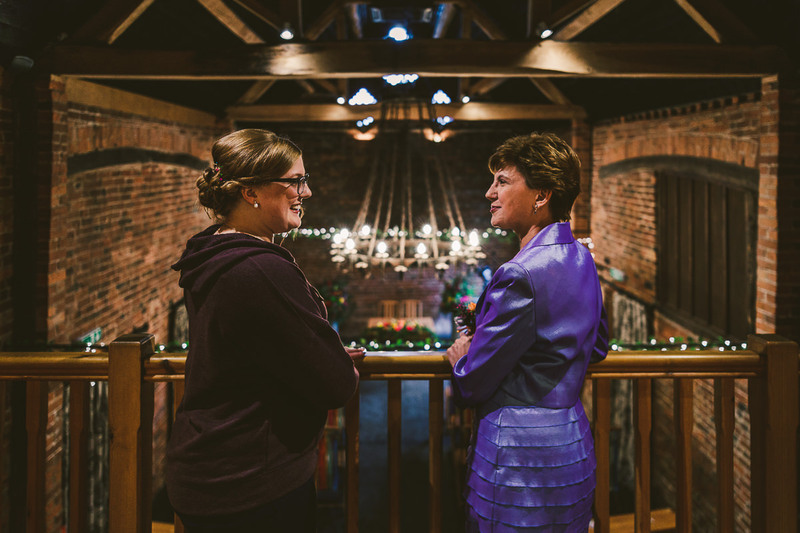 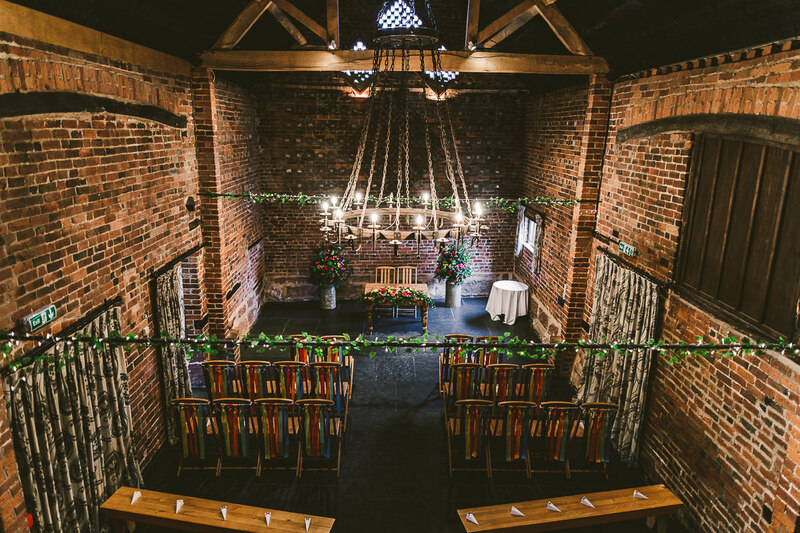 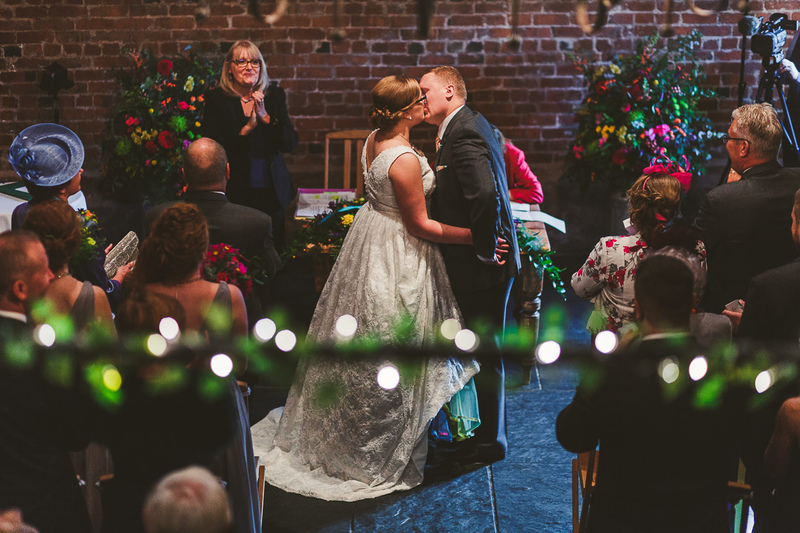 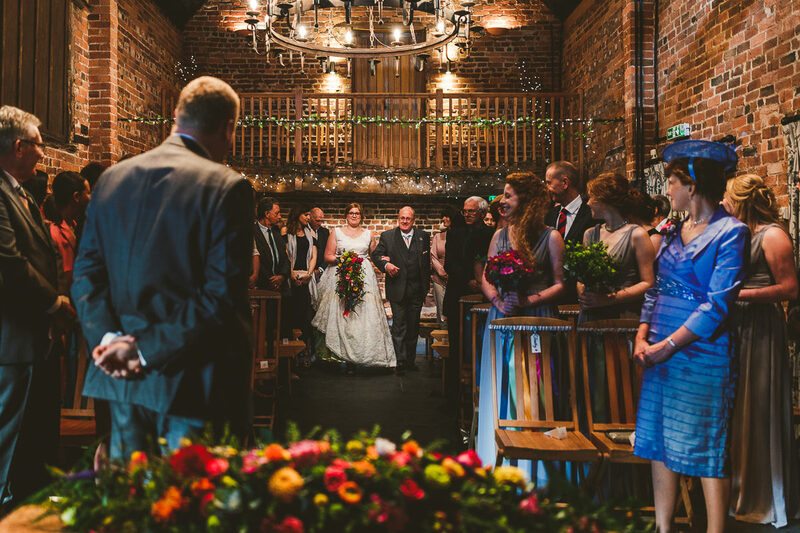 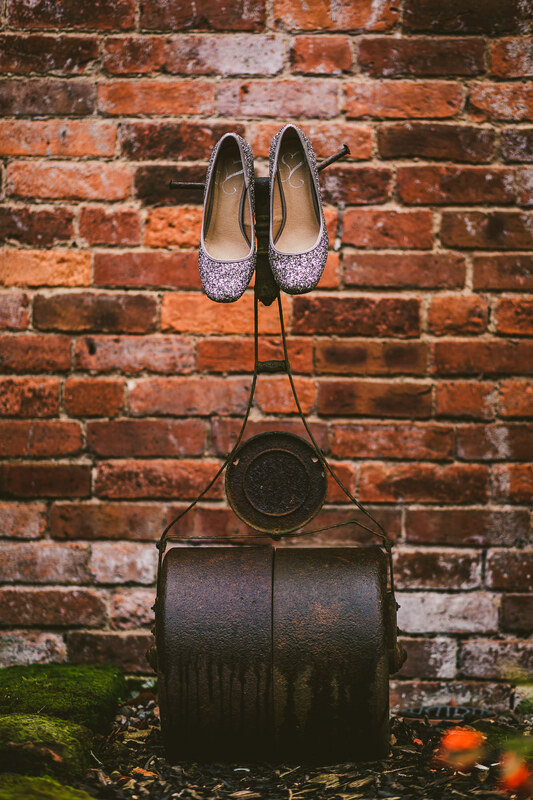 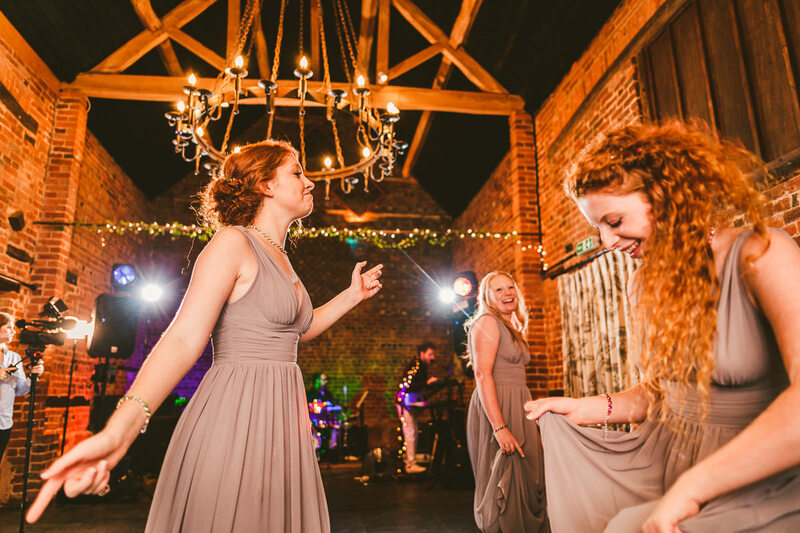 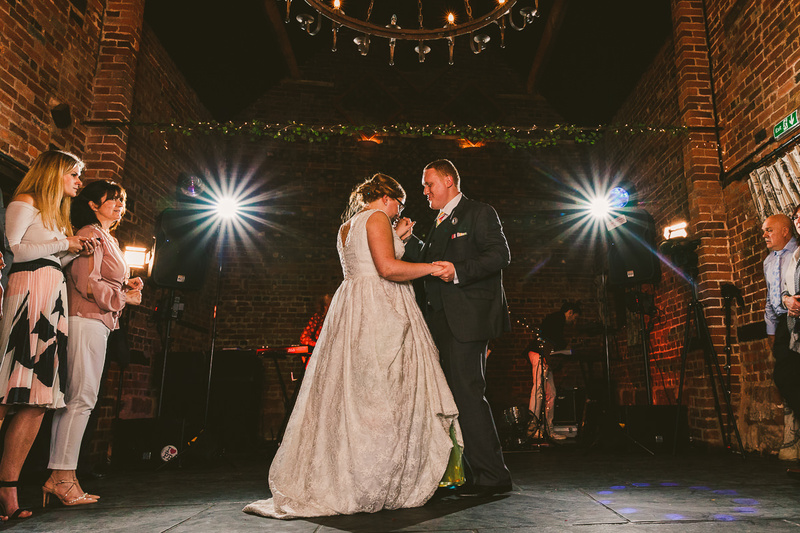 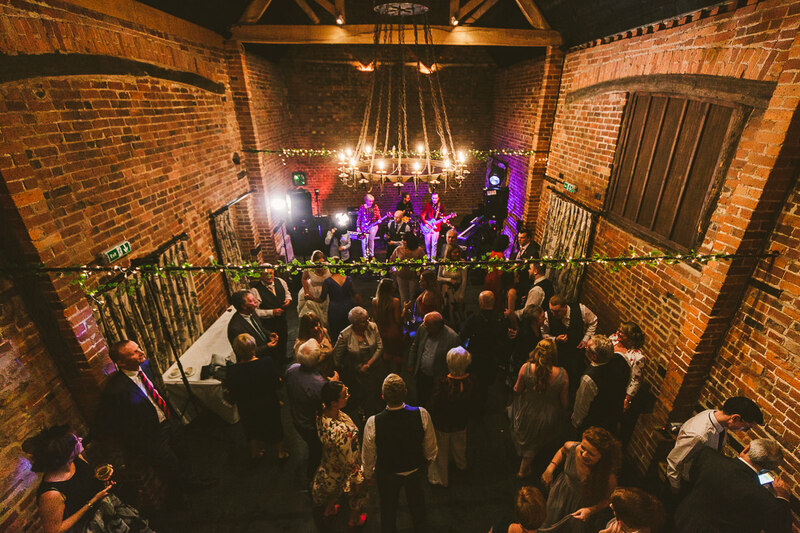 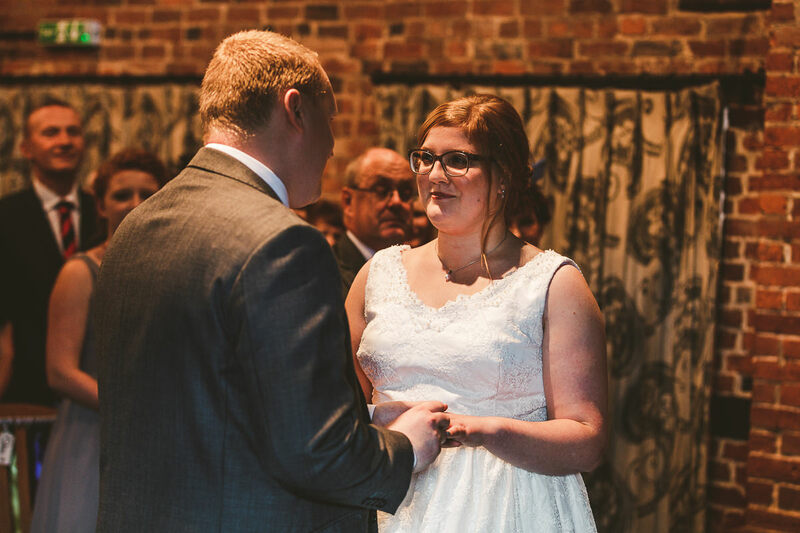 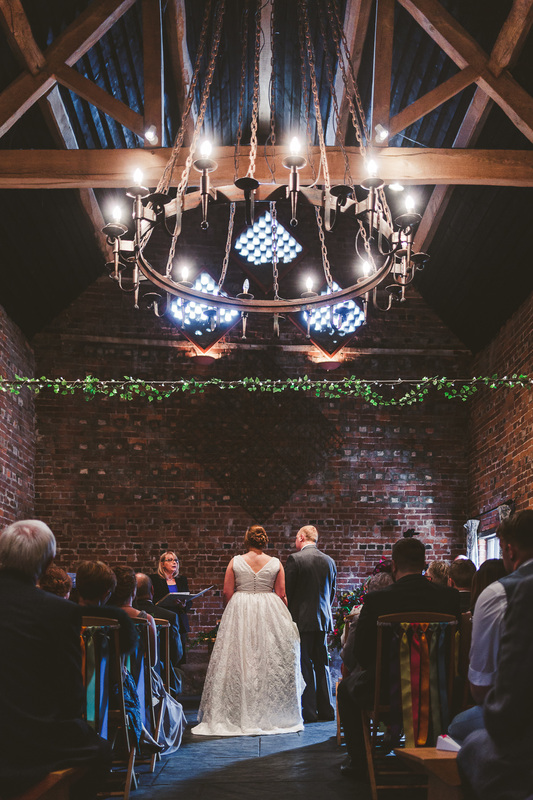 The ceremony took place in the Granary Barn, a former grain store which dates from the early 1800’s. 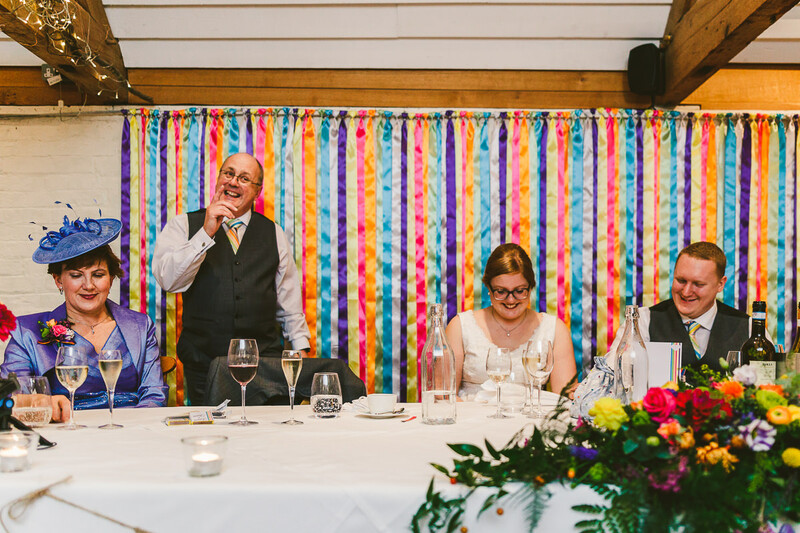 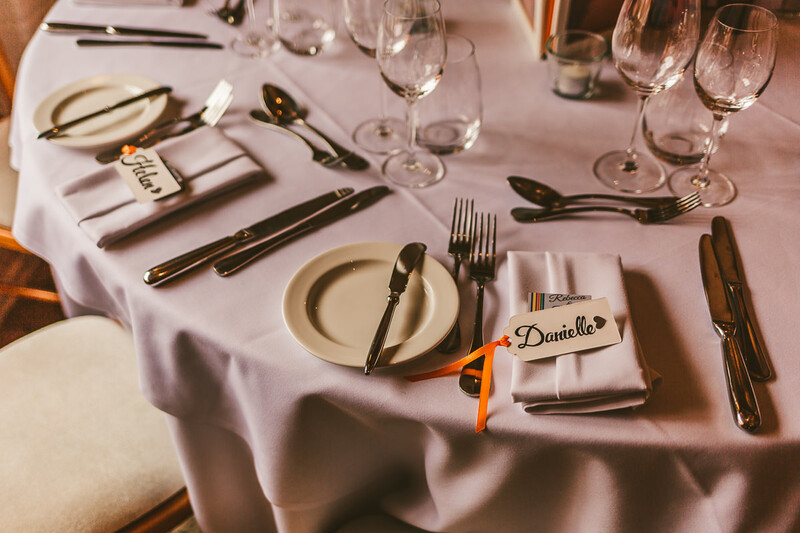 The rainbow theme was evident throughout with the chairs being decked out in multicoloured ribbons whilst the registrars table was decorated with a stunning floral spray which was from Jenny Fleur. 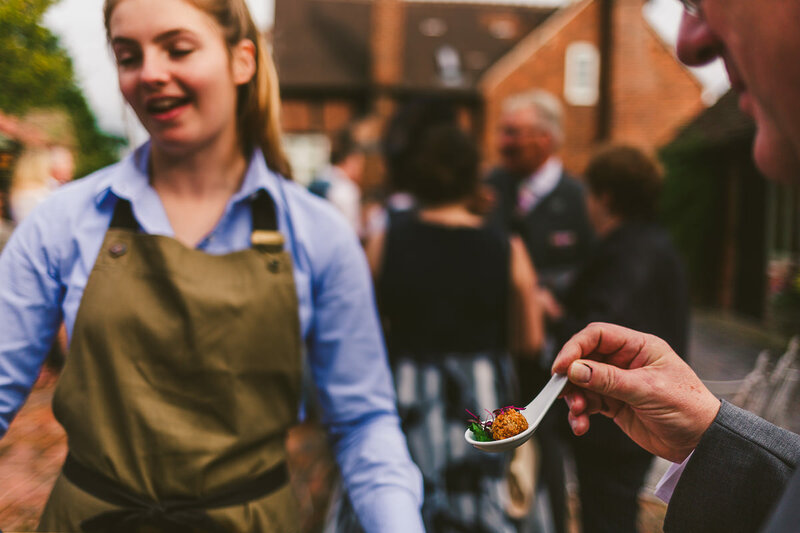 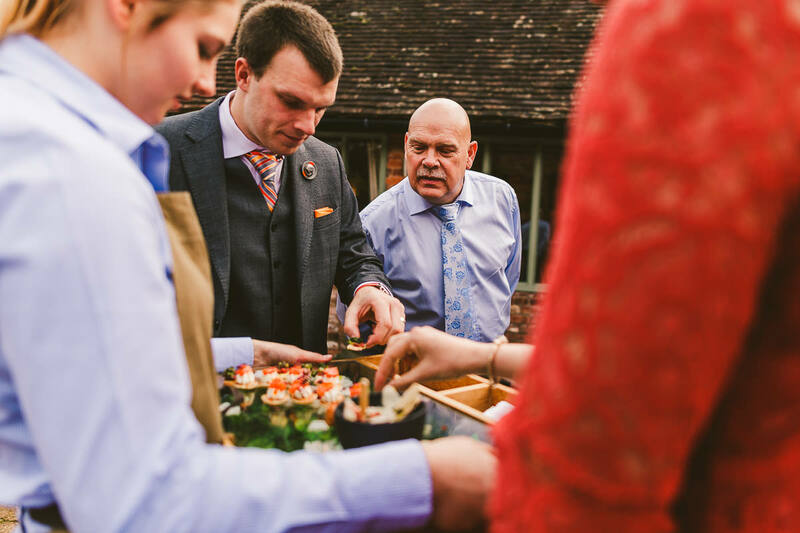 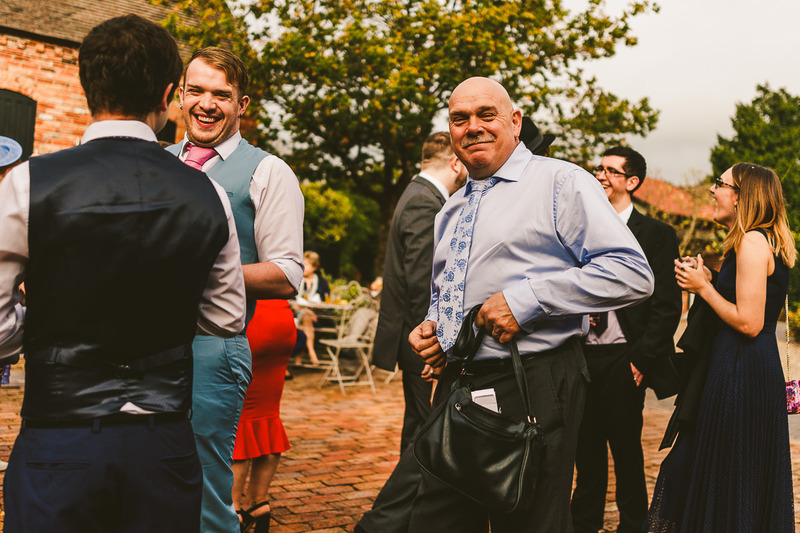 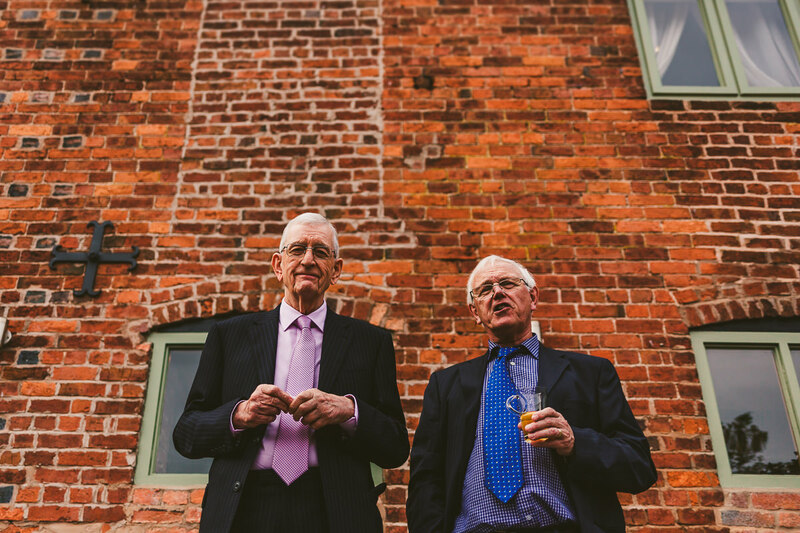 Once the legalities were completed we all headed out into the courtyard for the drinks reception and canapés where we were also able to soak up the last of the autumnal sun. 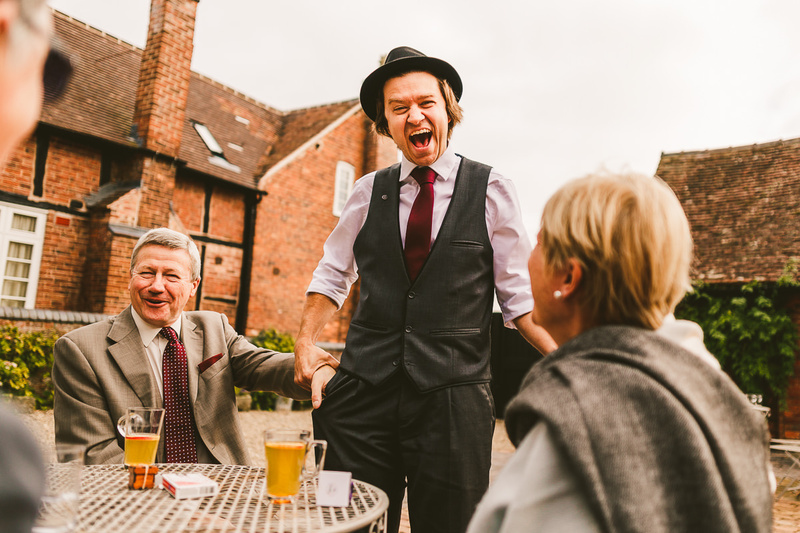 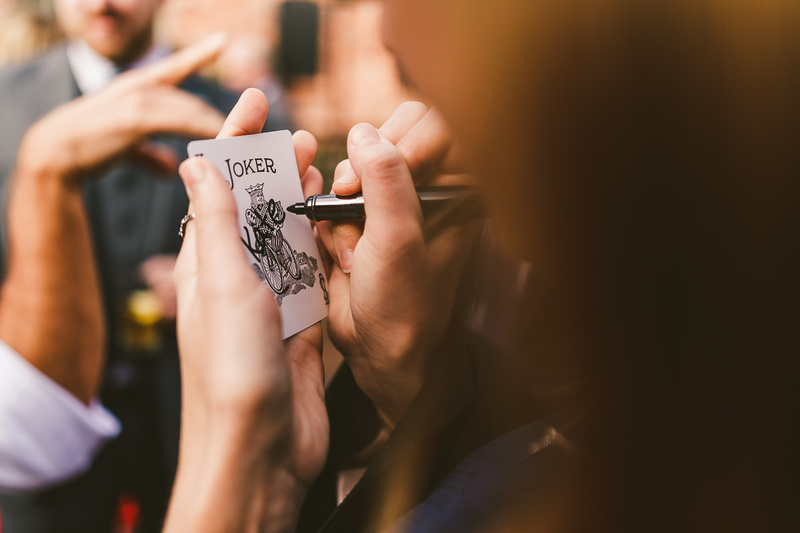 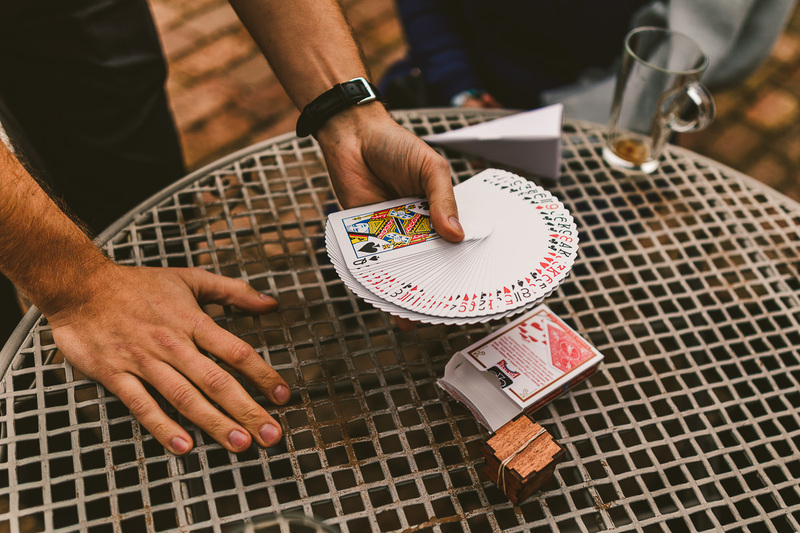 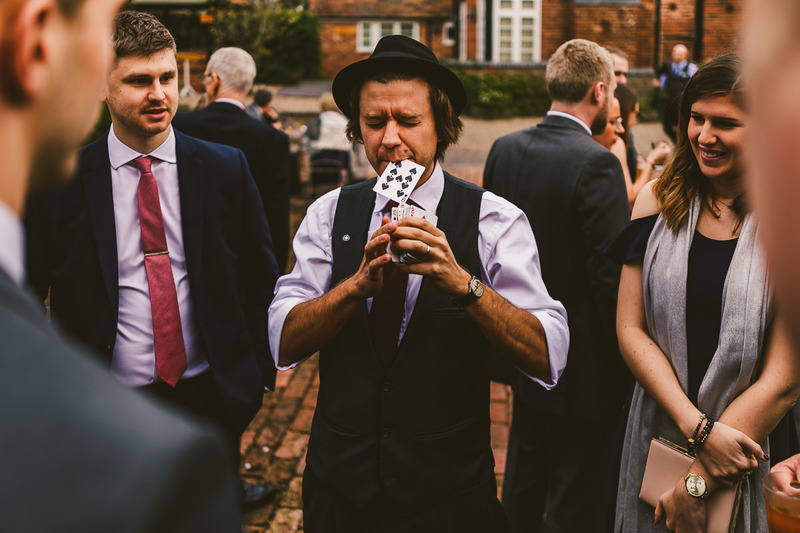 The guests were joined by the amazing Darren Campbell who melted people’s minds with some incredible close up magic, sleight of hand and downright devious wizardry. 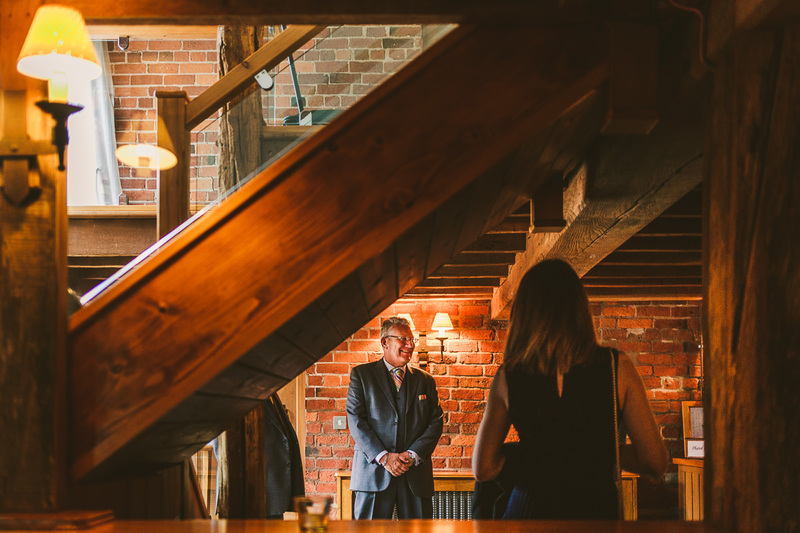 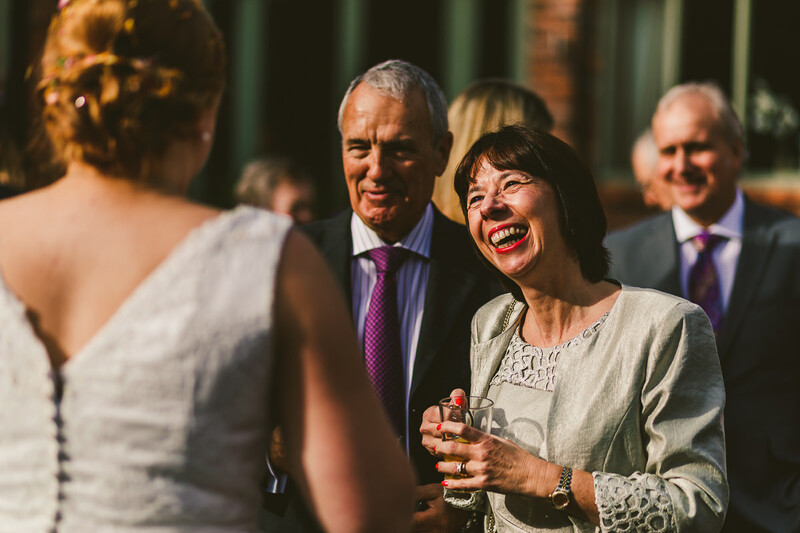 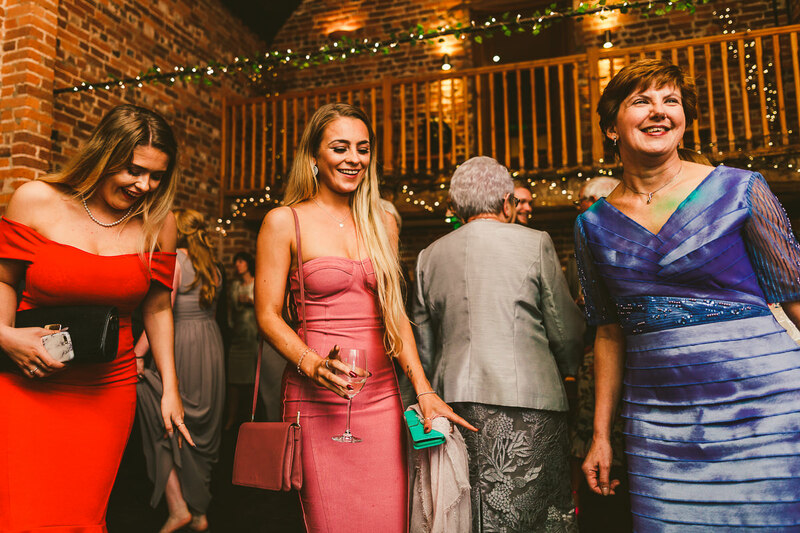 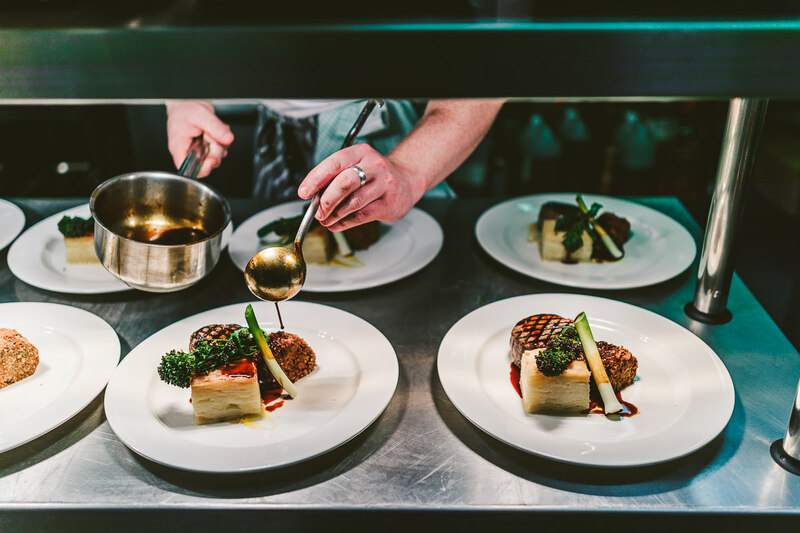 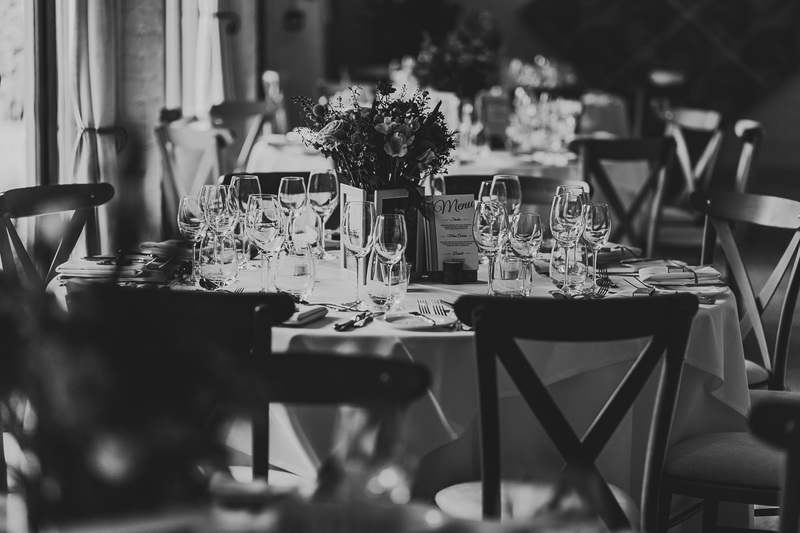 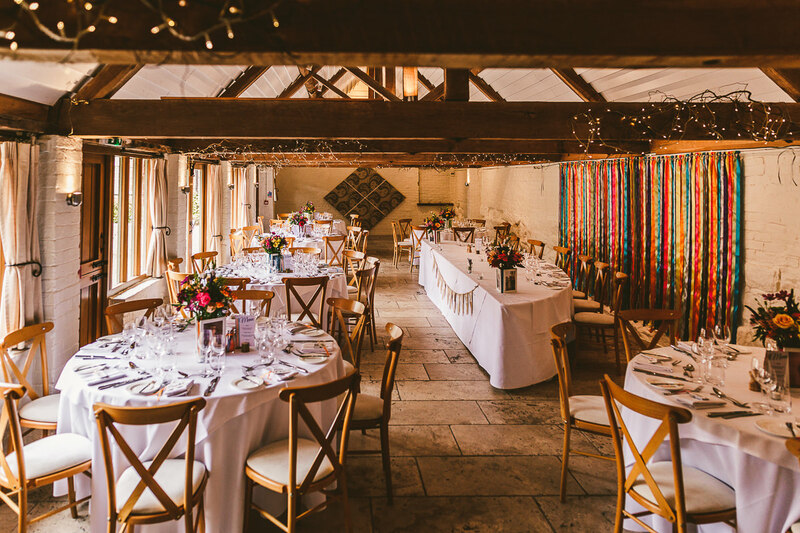 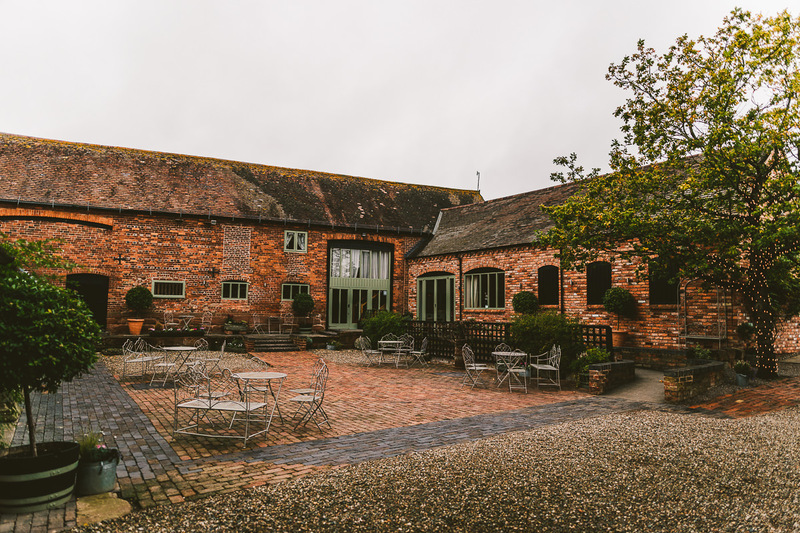 With the late afternoon sun setting the guests then made their way into the Barley Barn for a stunning three course wedding breakfast which was provided by Galloping Gourmet. 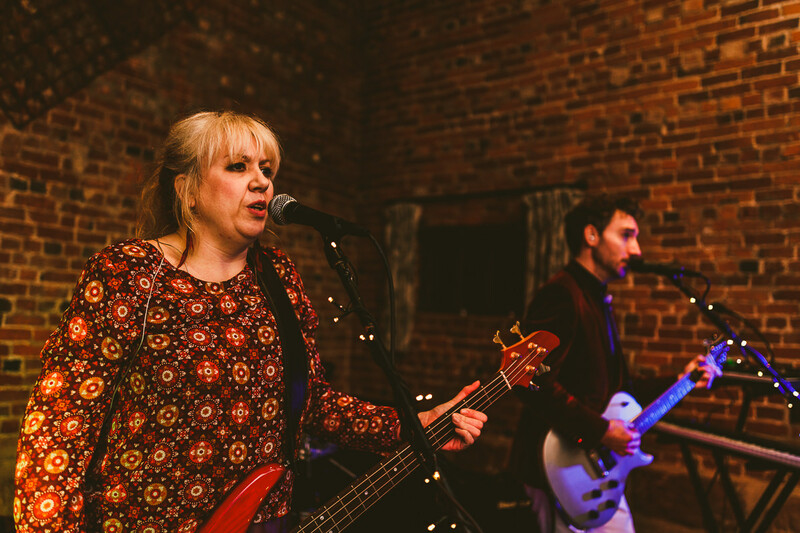 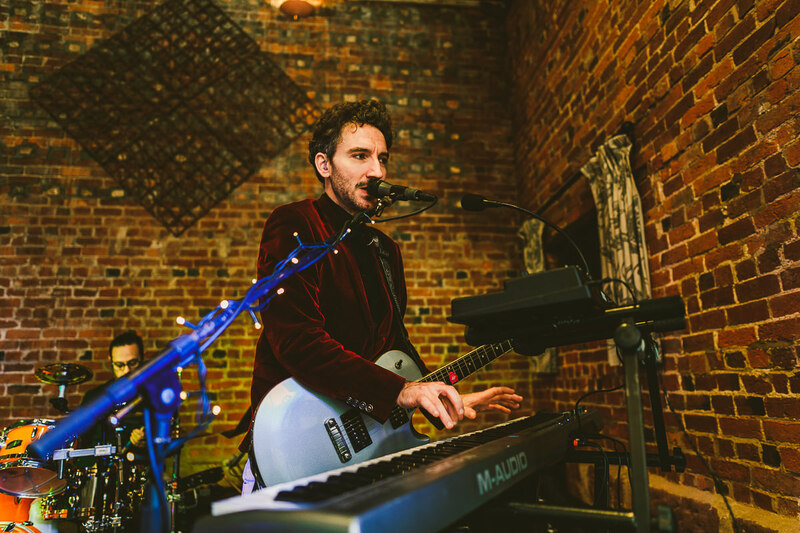 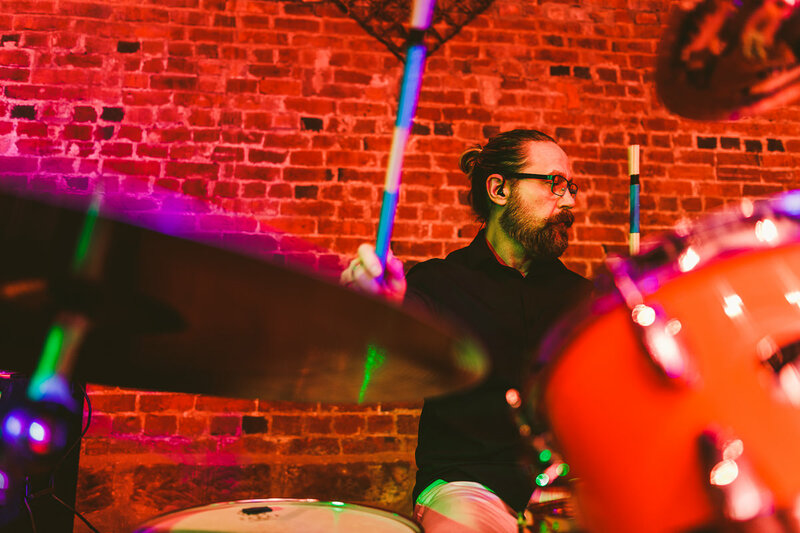 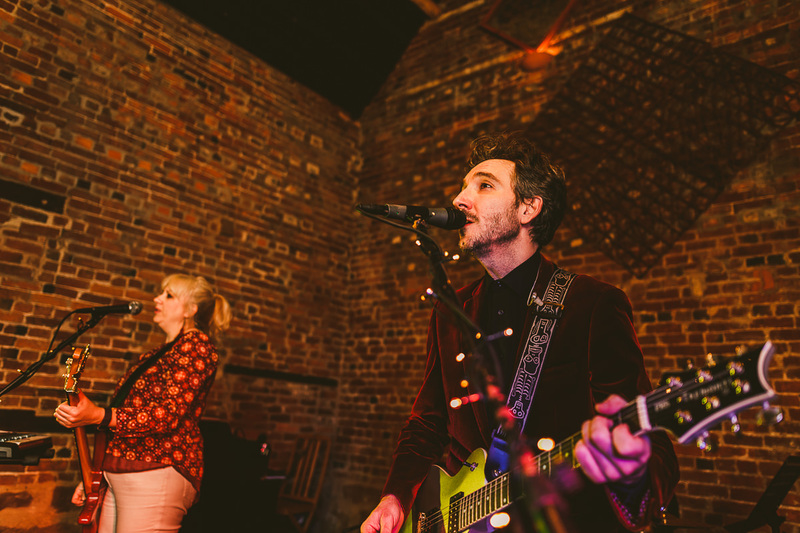 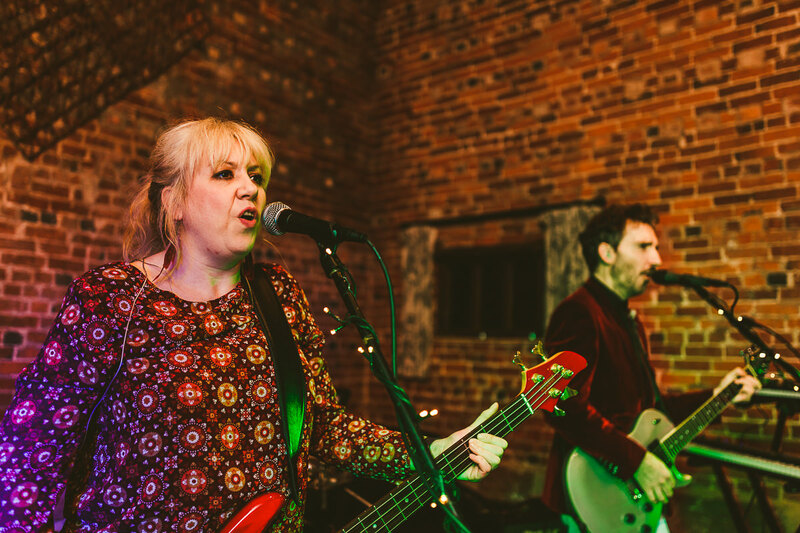 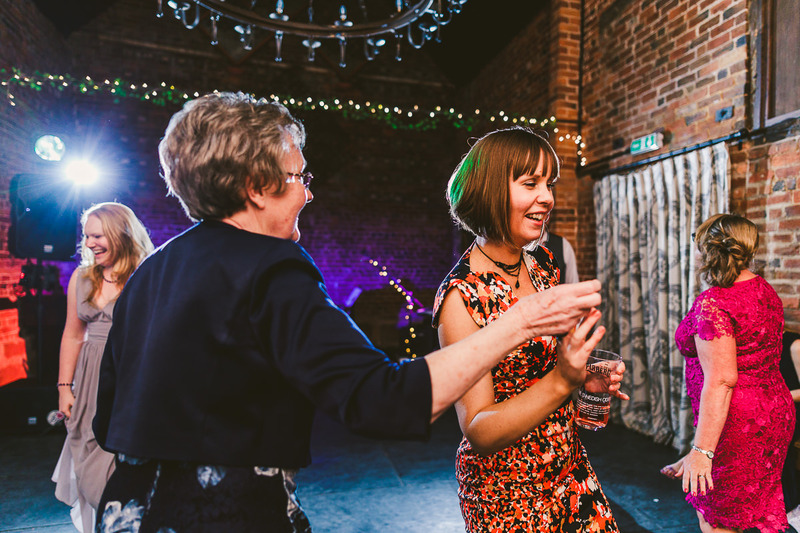 As the evening reception got going the rather marvelous Plastic Pantomime got the Granary Barn rocking with two blistering sets of indie-rock awesomeness whilst the catering team fired up the outdoor oven for plenty of pizza based goodness. 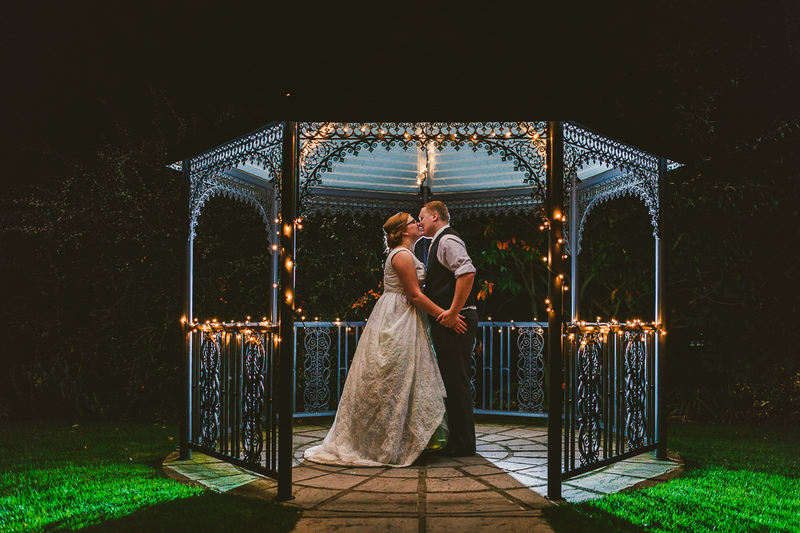 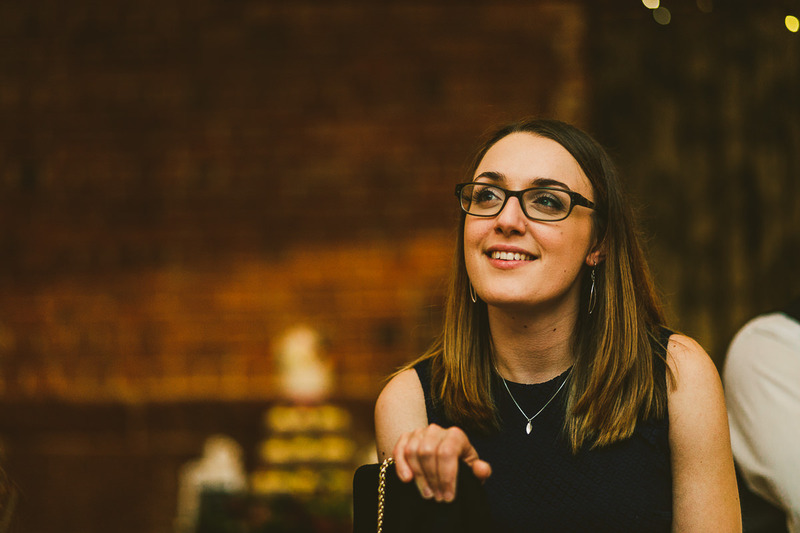 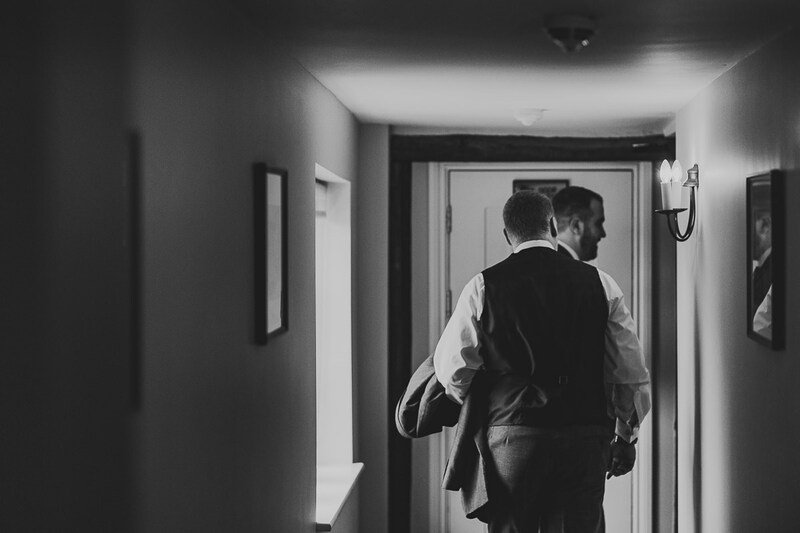 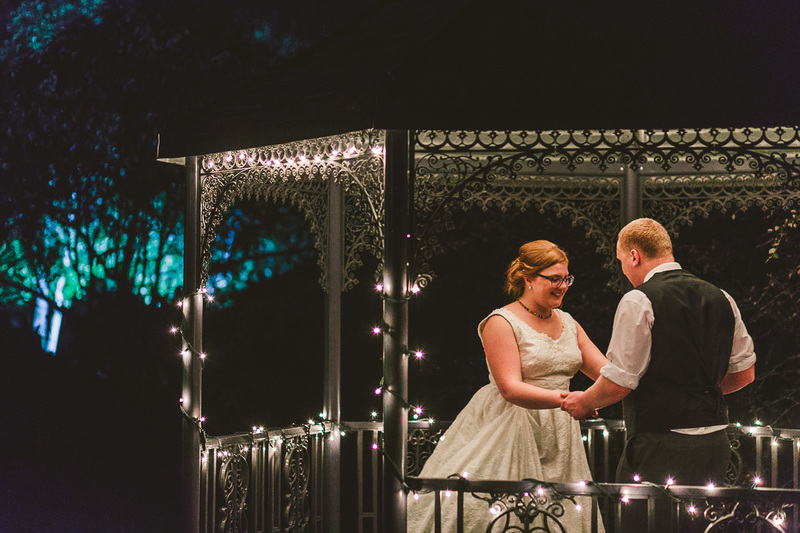 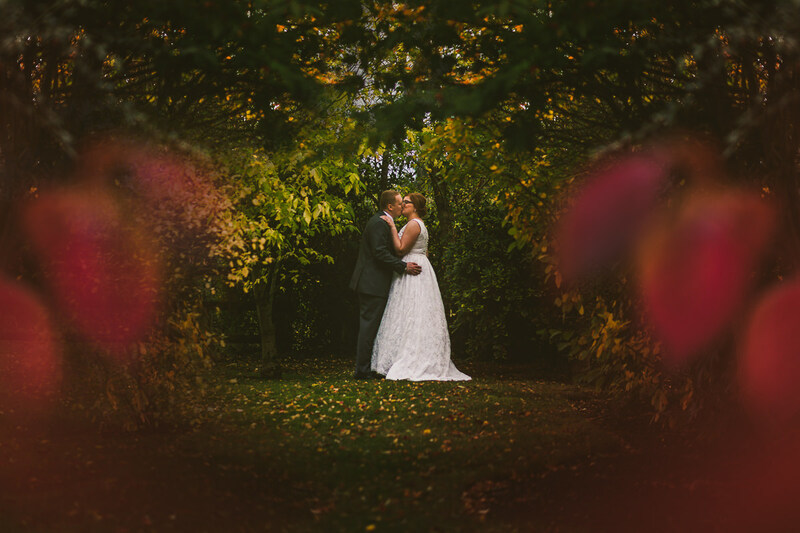 I’d like to say a massive thanks to Bex and Tom for having me along to their special day, and also big thanks to the lovely Amy-Rose from Amy-Rose Photography who did an epic job second shooting with me. 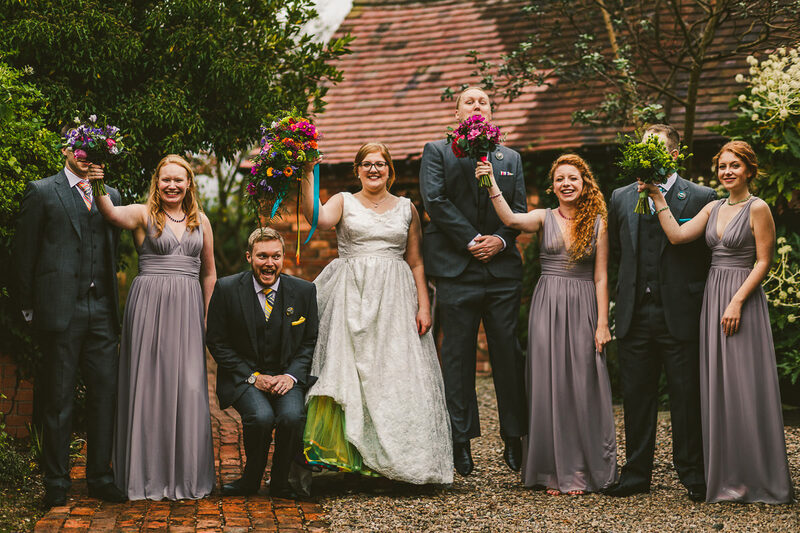 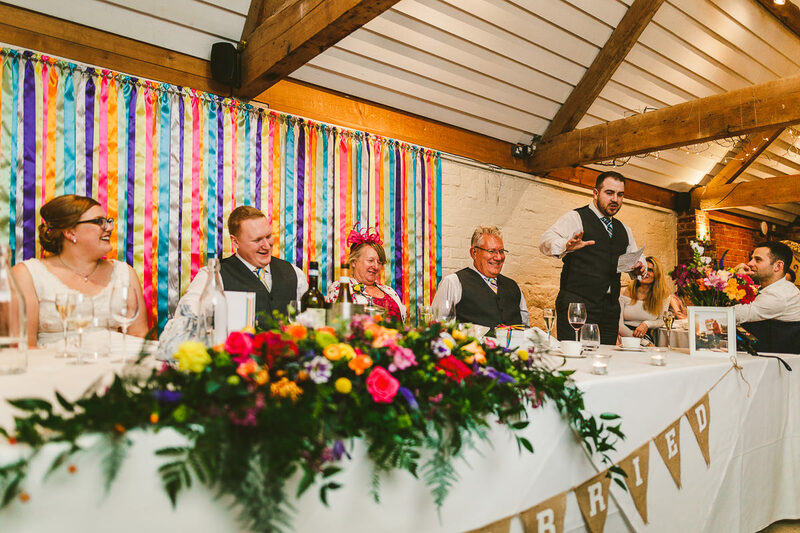 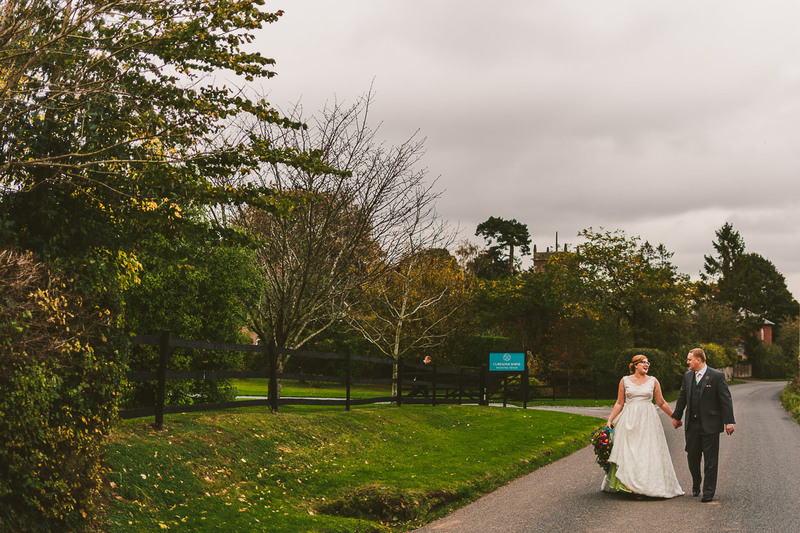 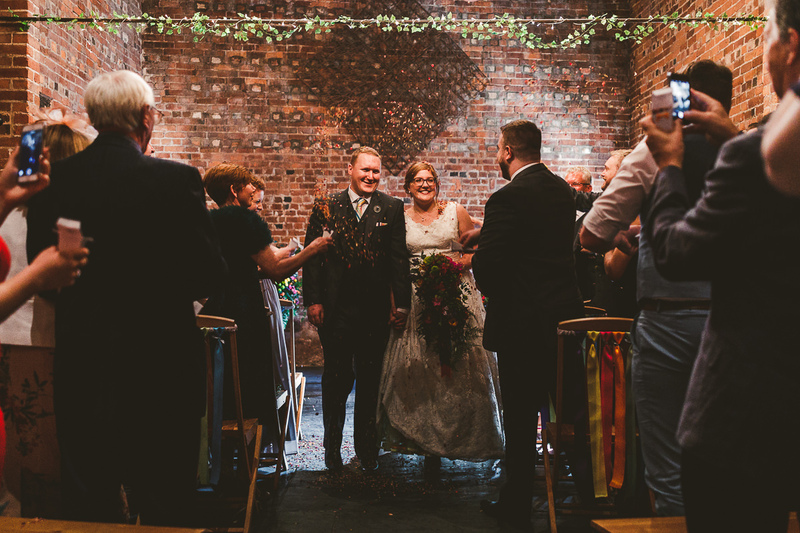 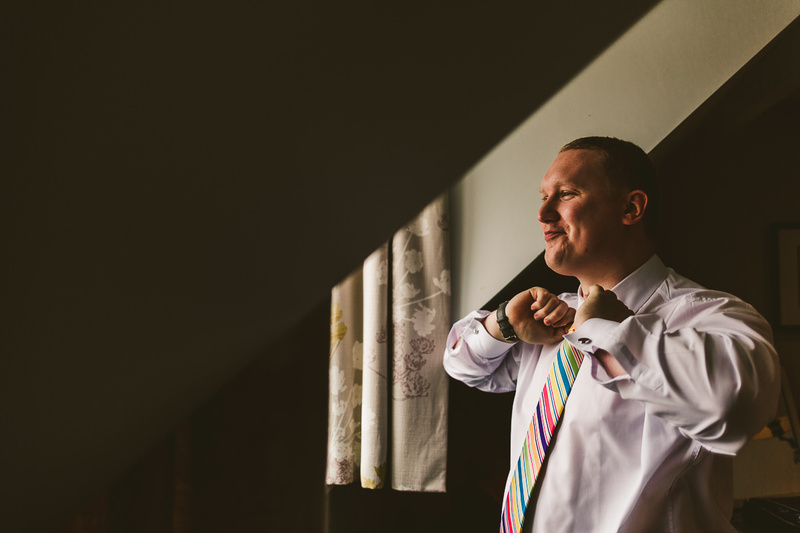 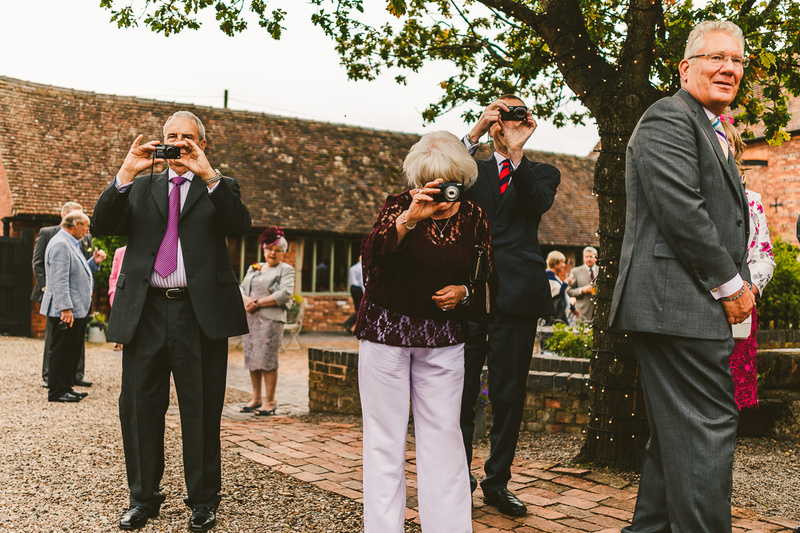 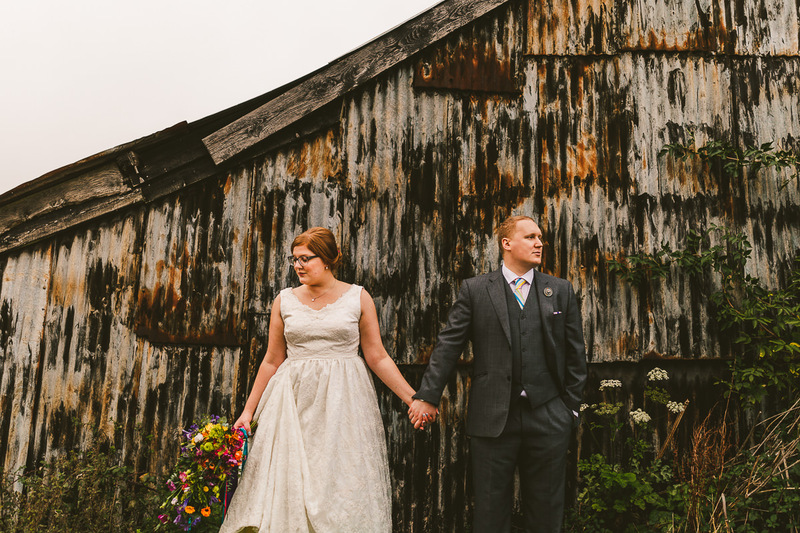 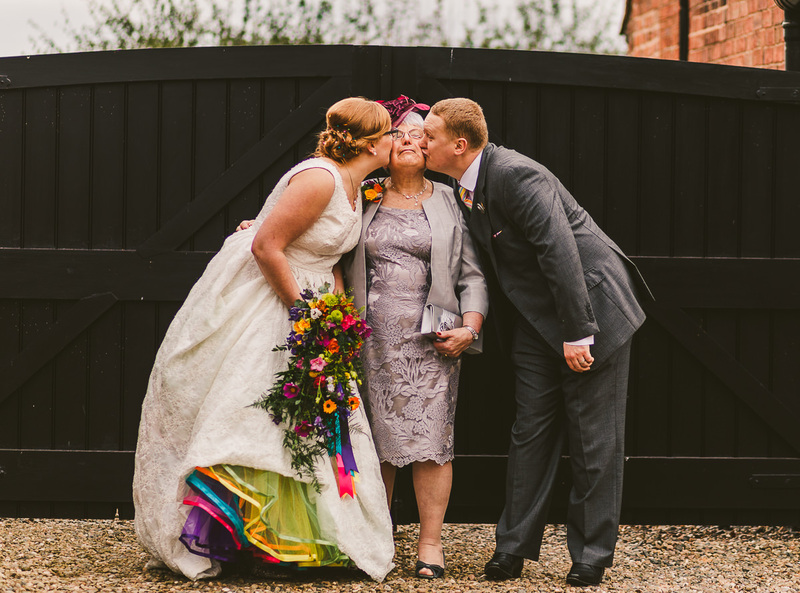 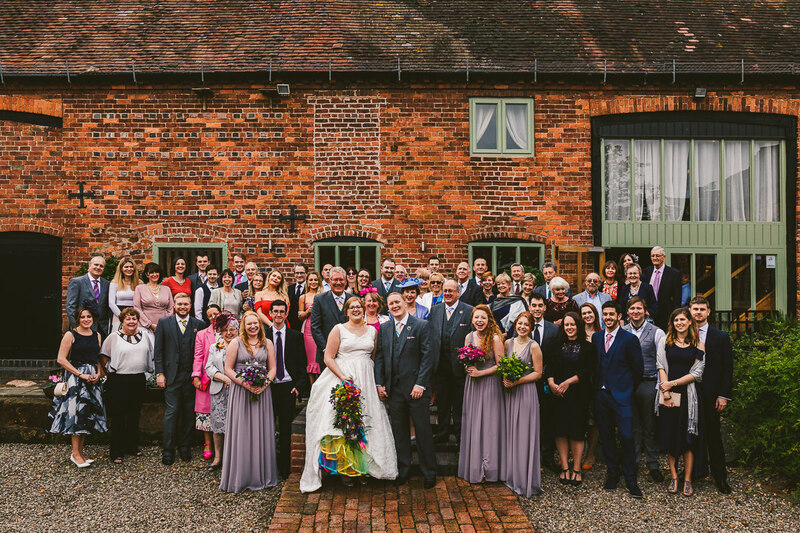 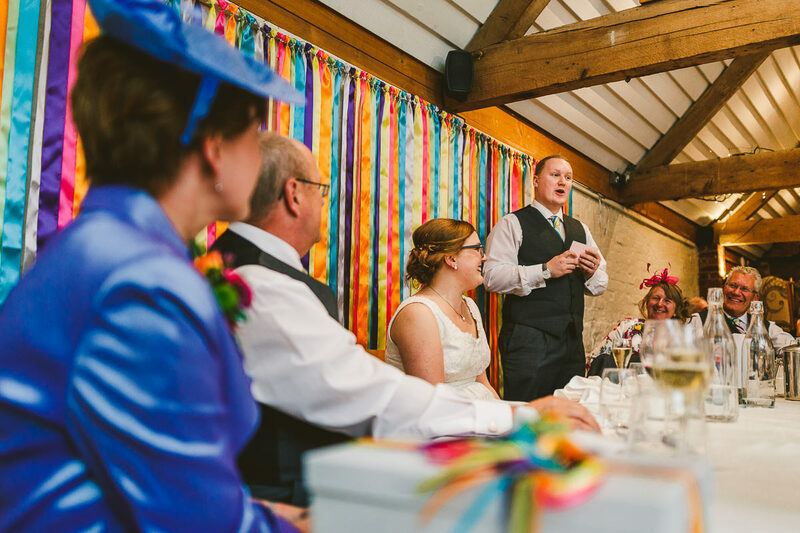 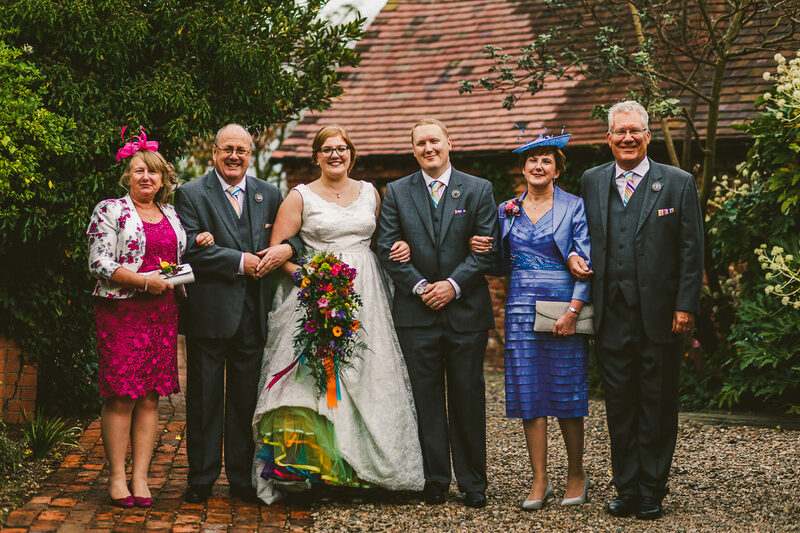 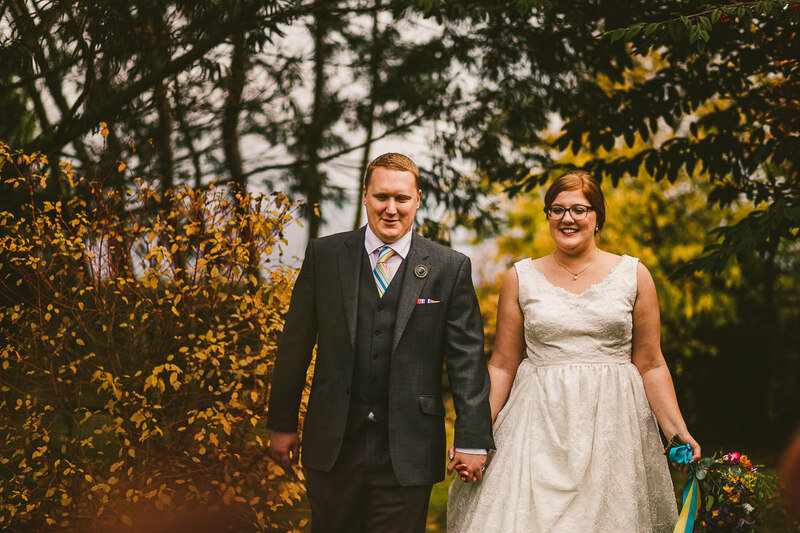 Here’s a few pictures from Bex and Tom’s colourful day at Curradine Barns . 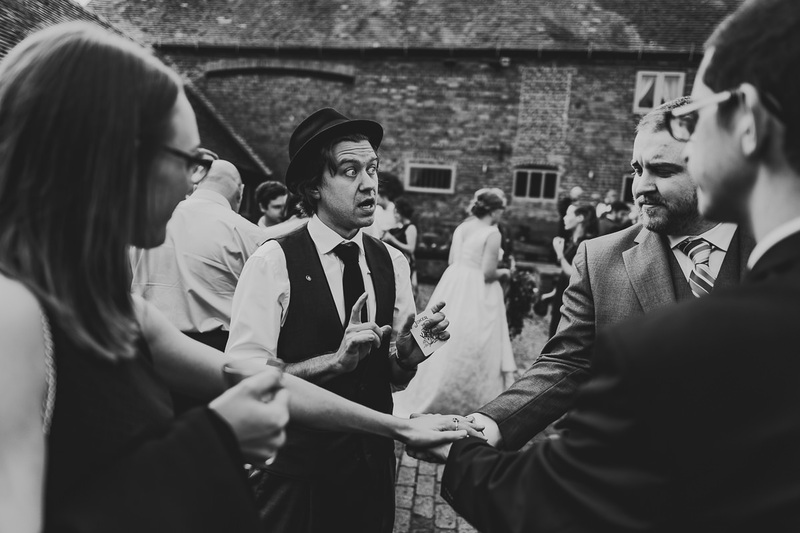 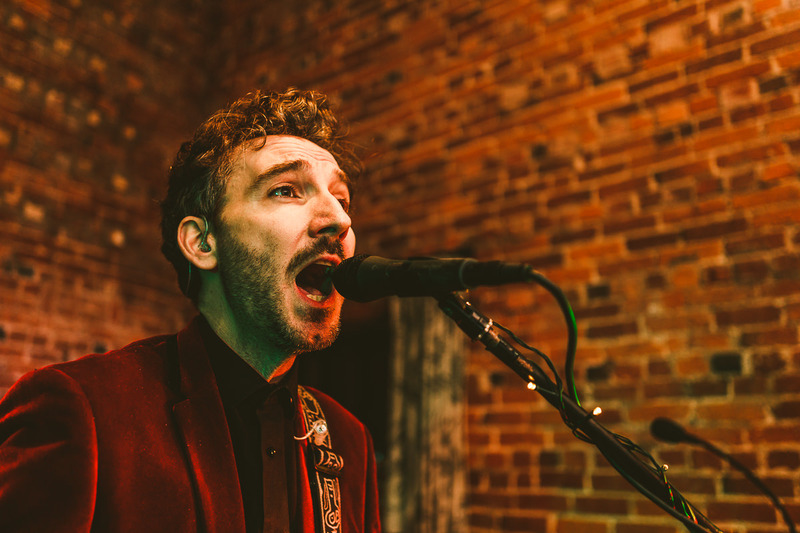 . .
Gorgeous wedding Simon some epic photos here. 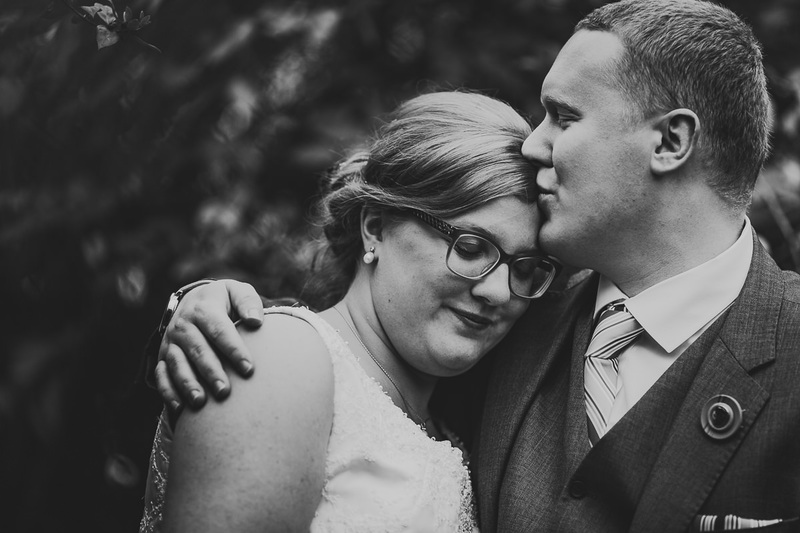 Loving the tons as well dude! 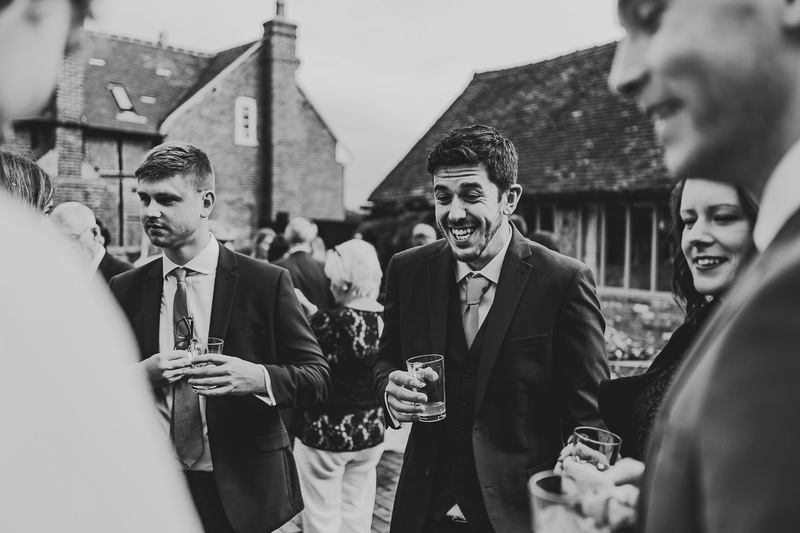 Cheers Dan, thanks for the kind words, really appreciate it! 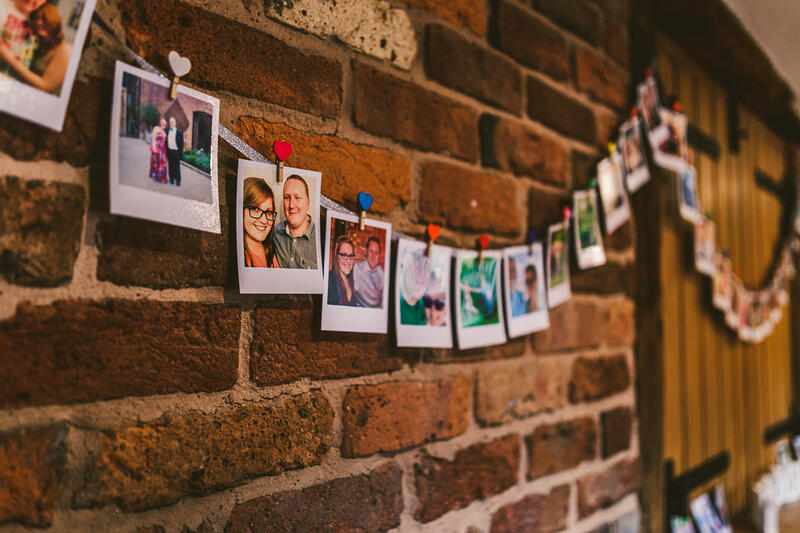 Very nice photos! 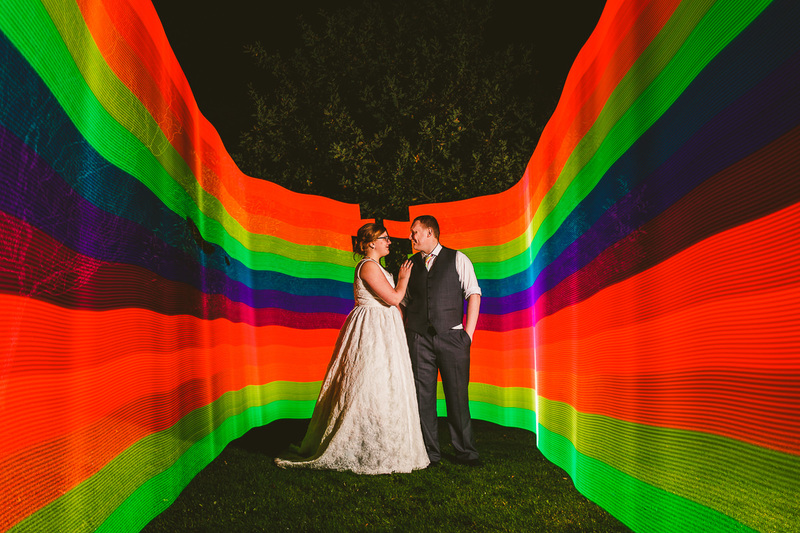 Nice rainbow colours to brighten up the day!